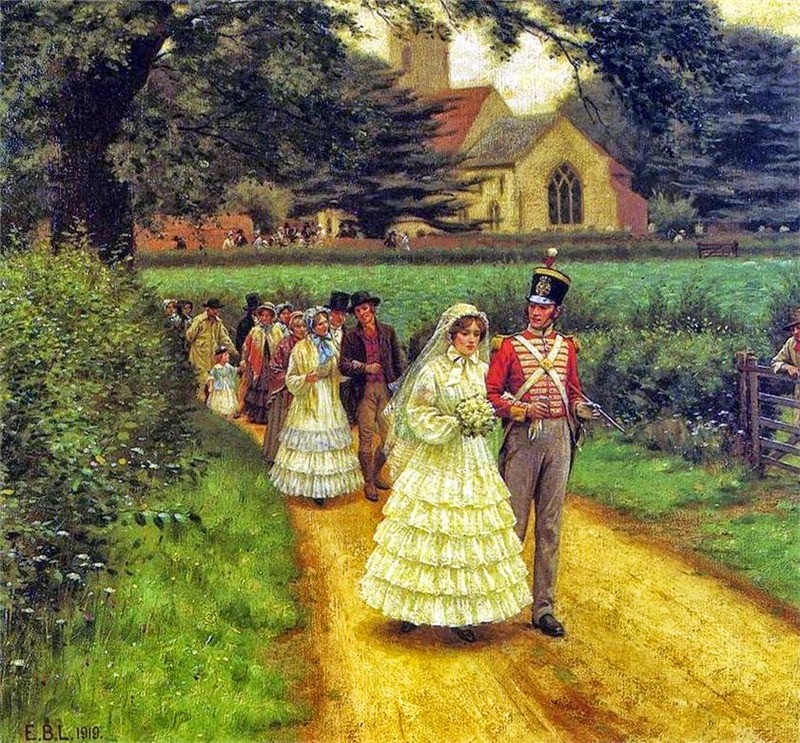 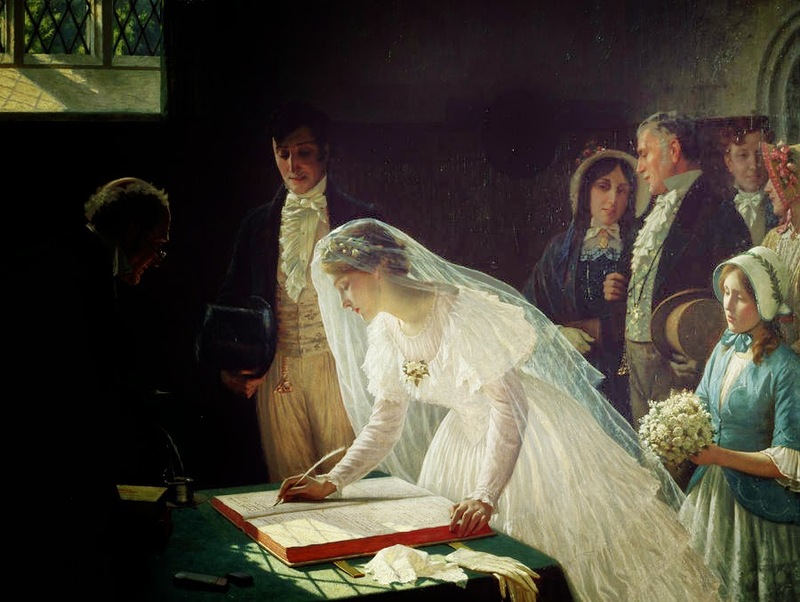 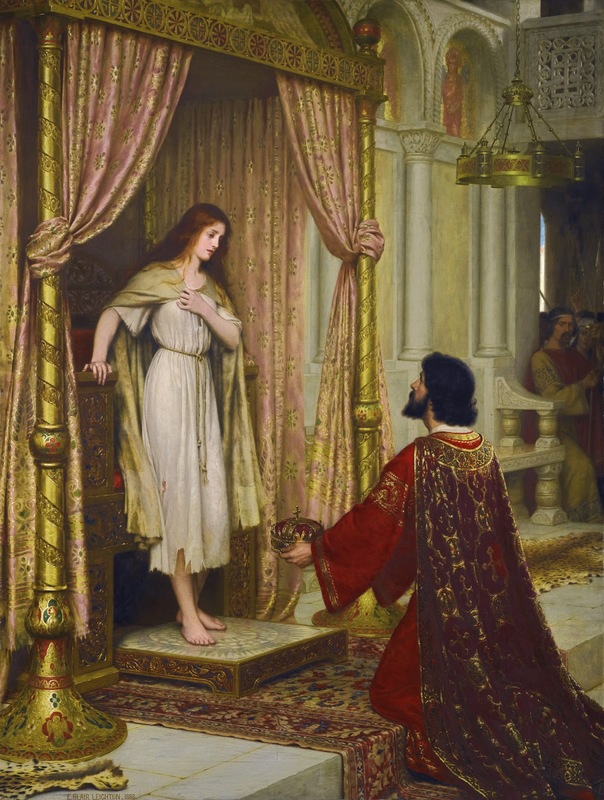 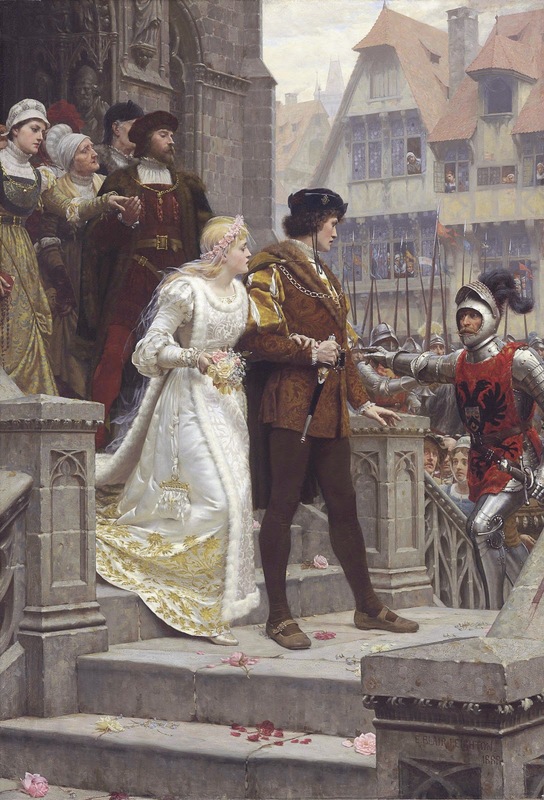 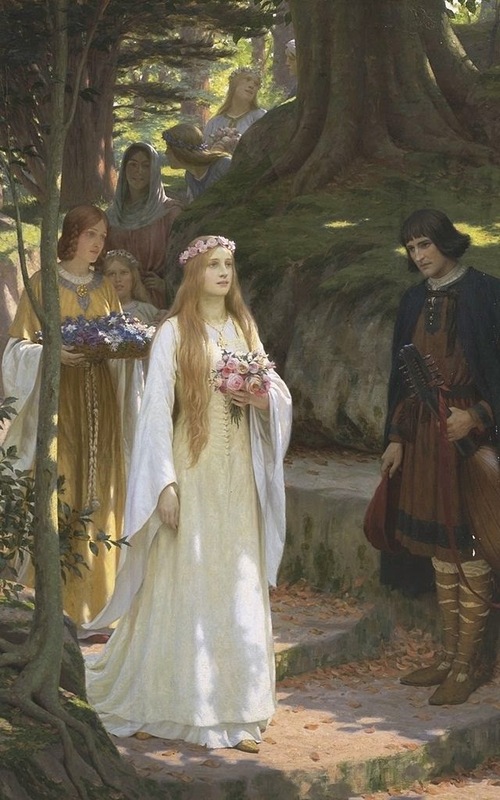 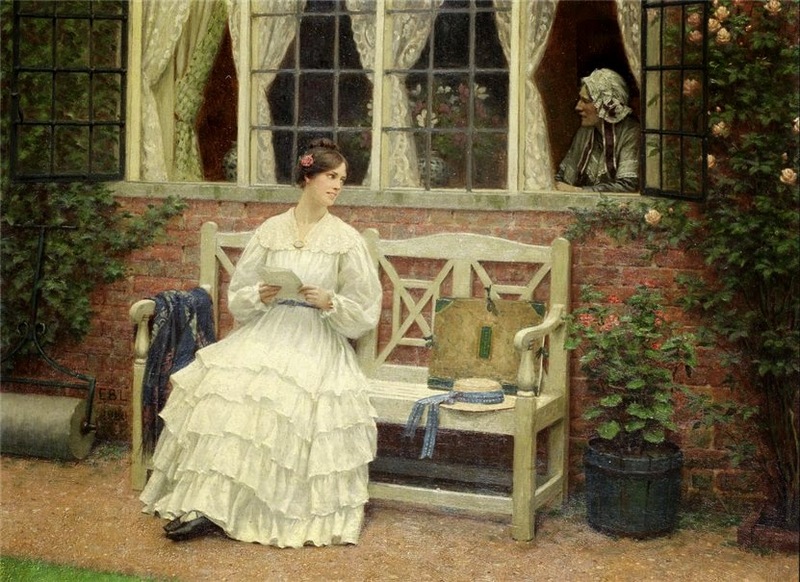 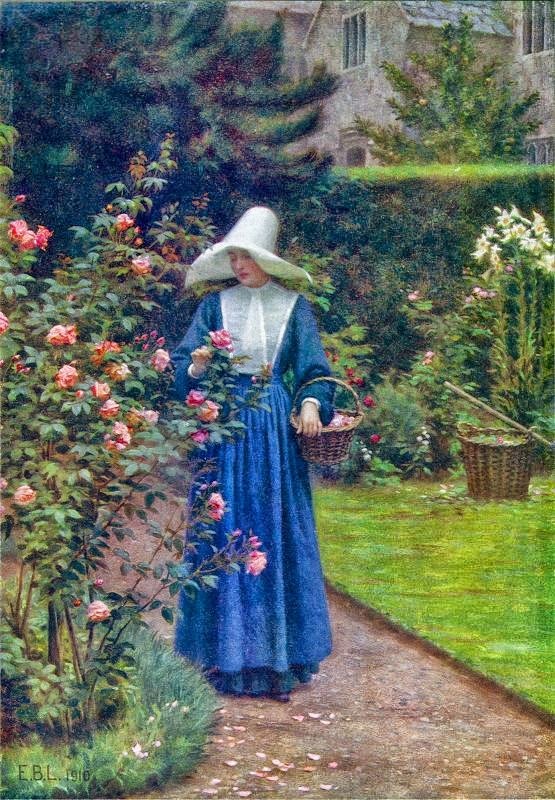 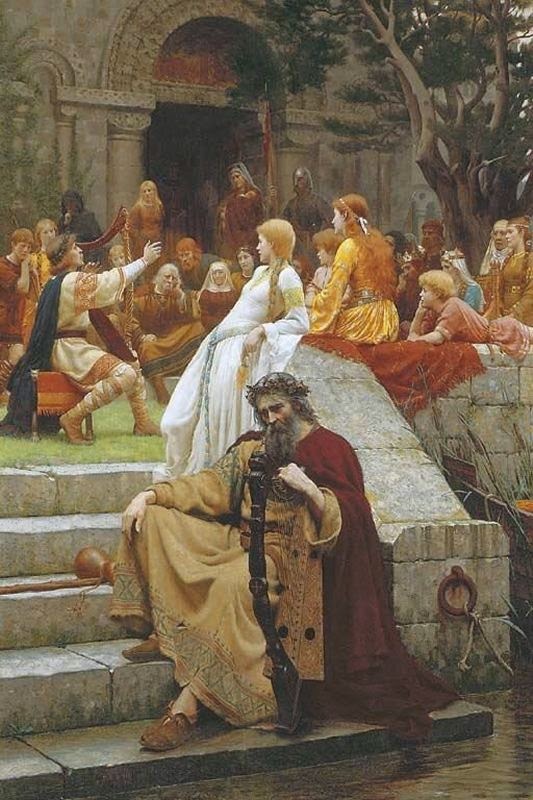 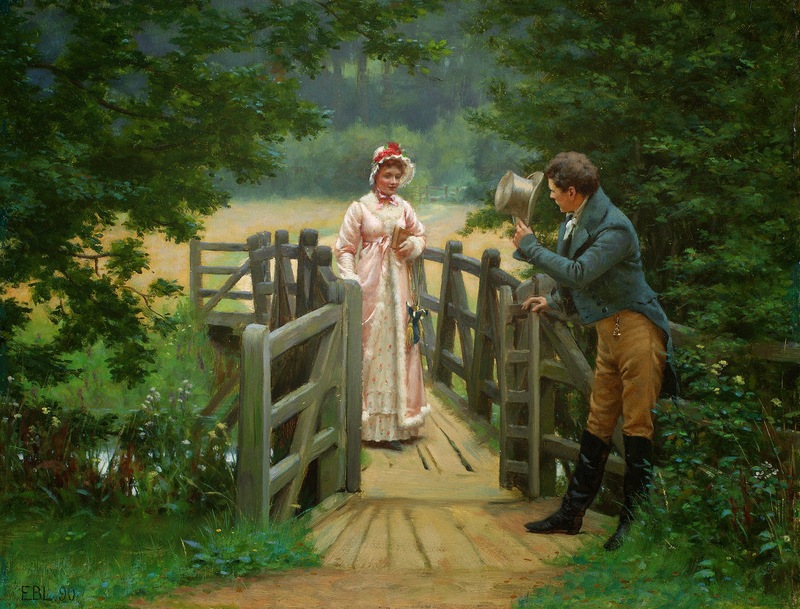 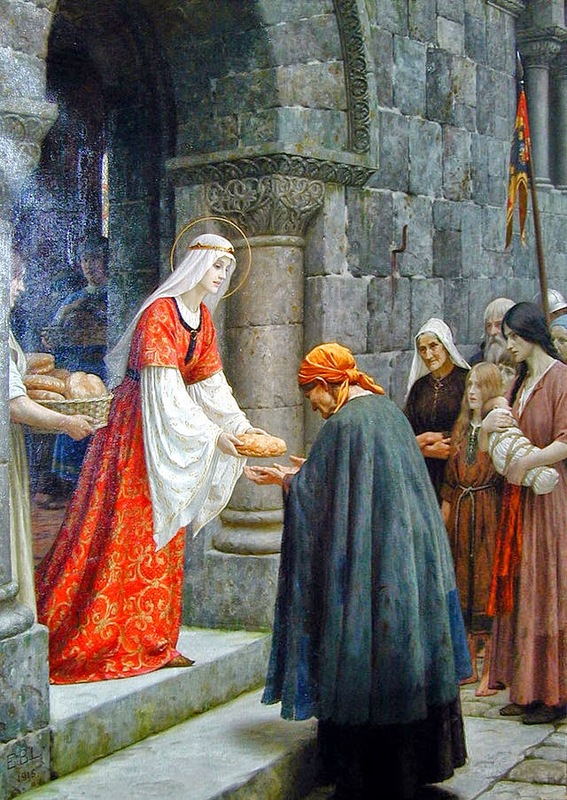 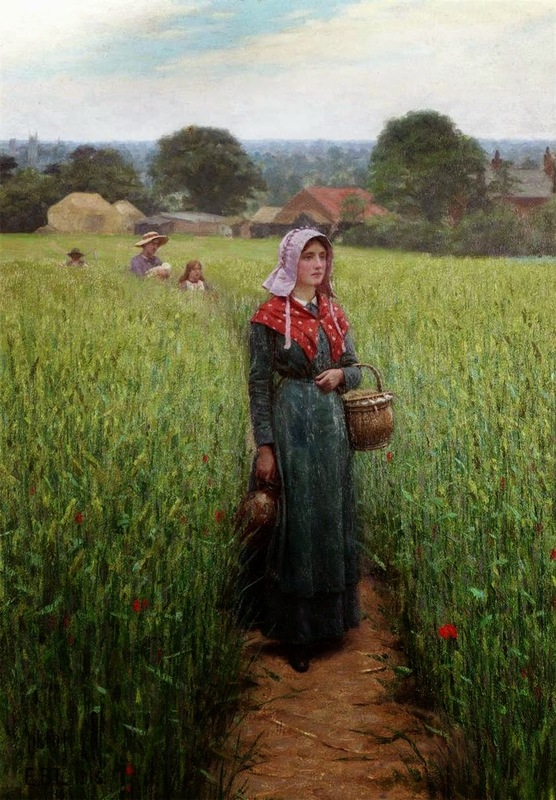 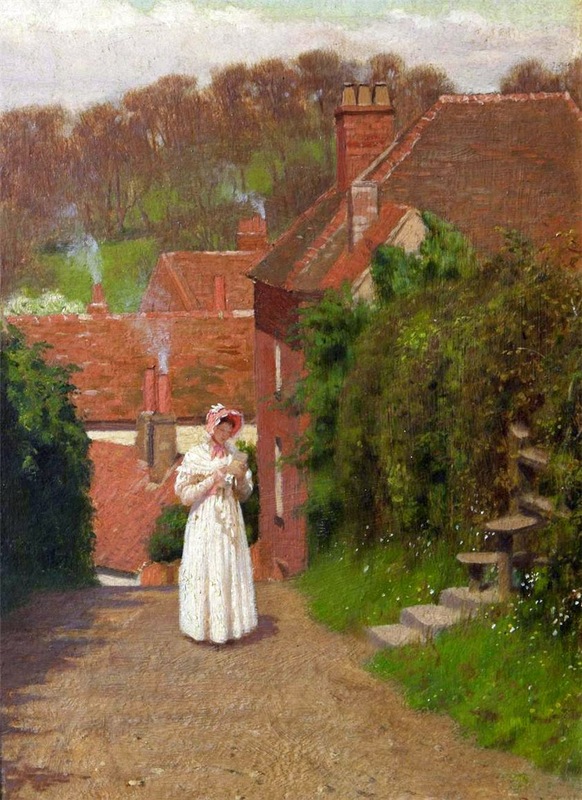 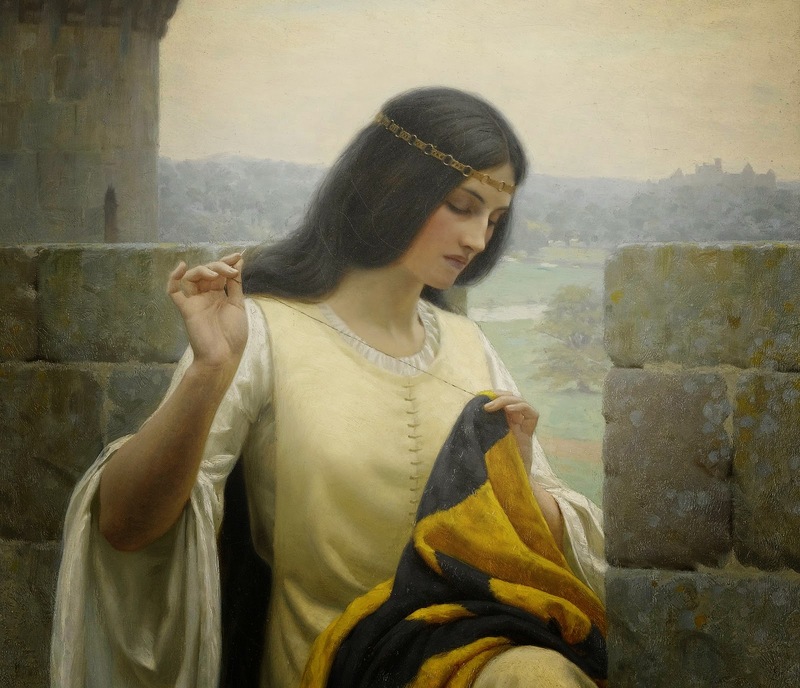 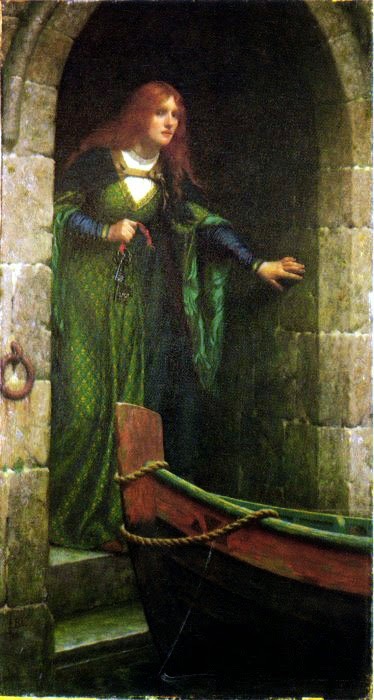 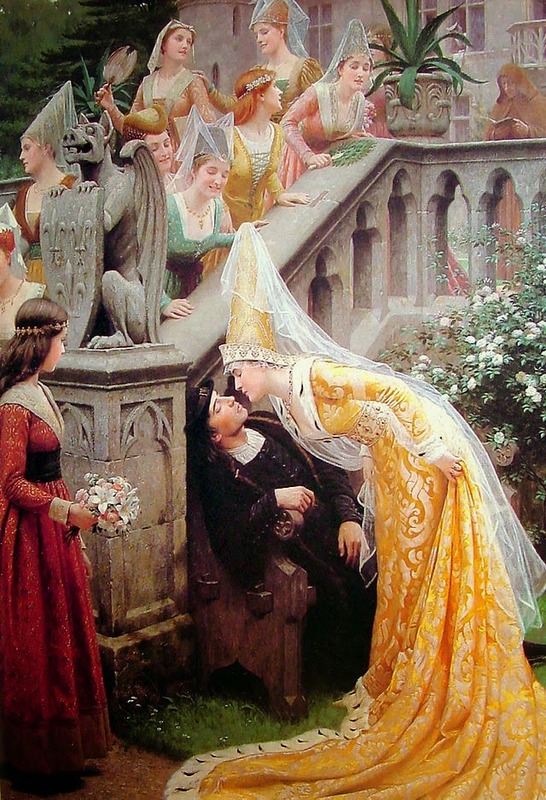 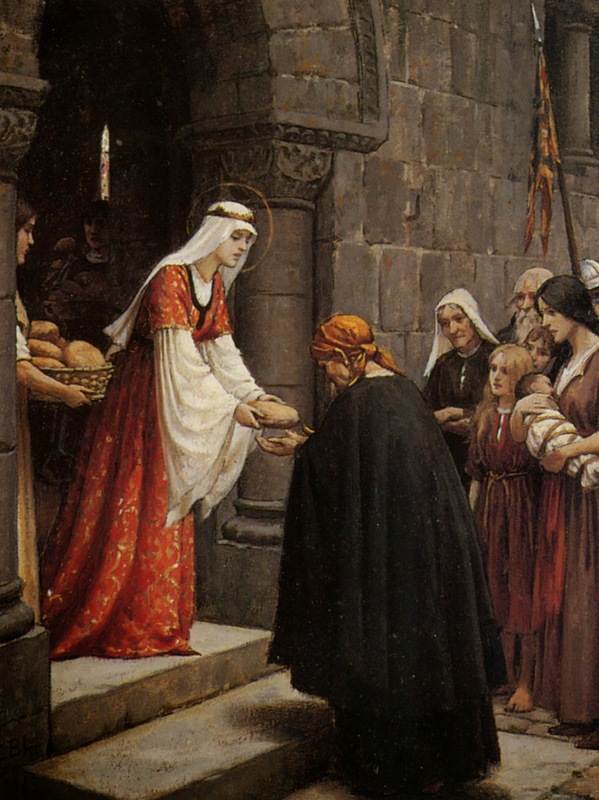 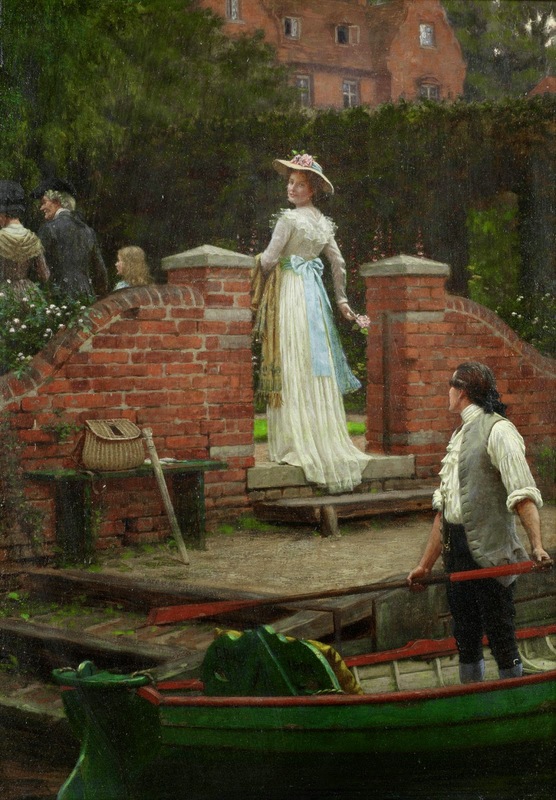 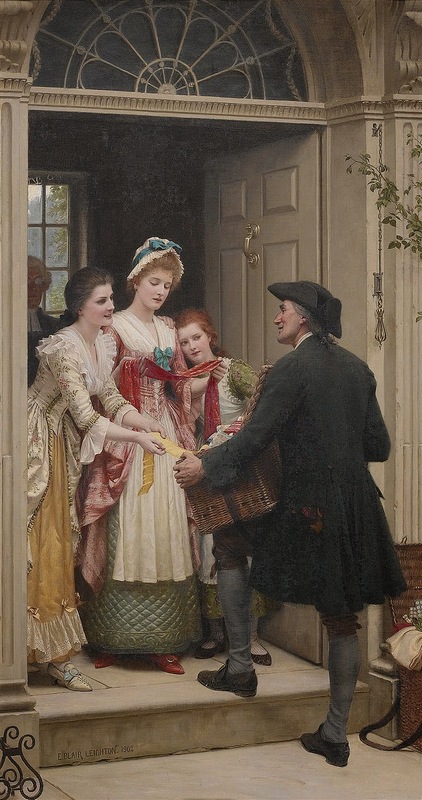 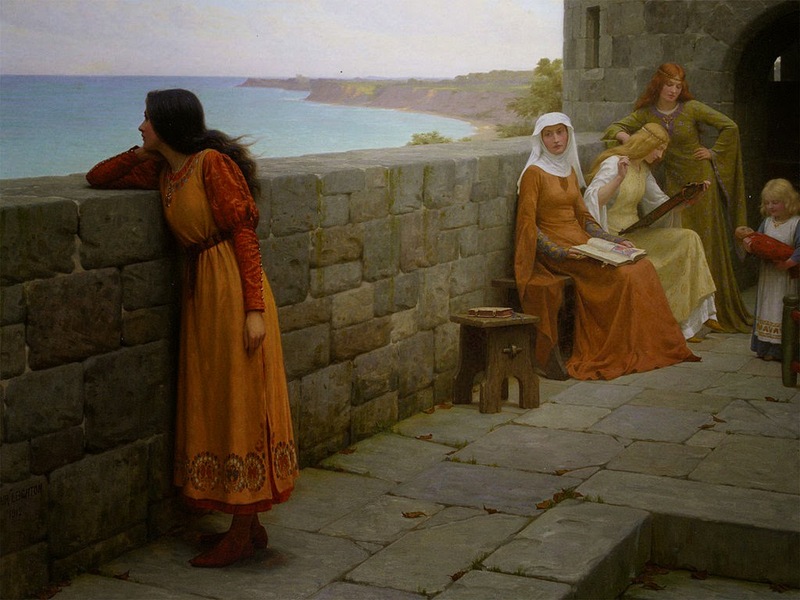 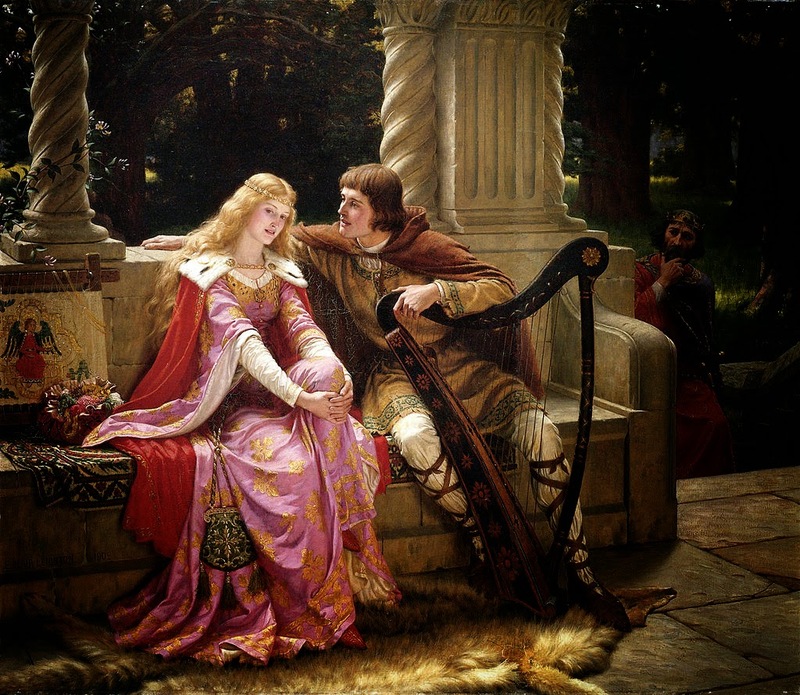 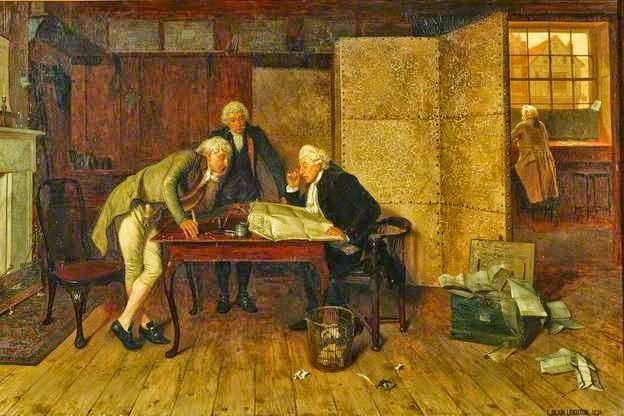 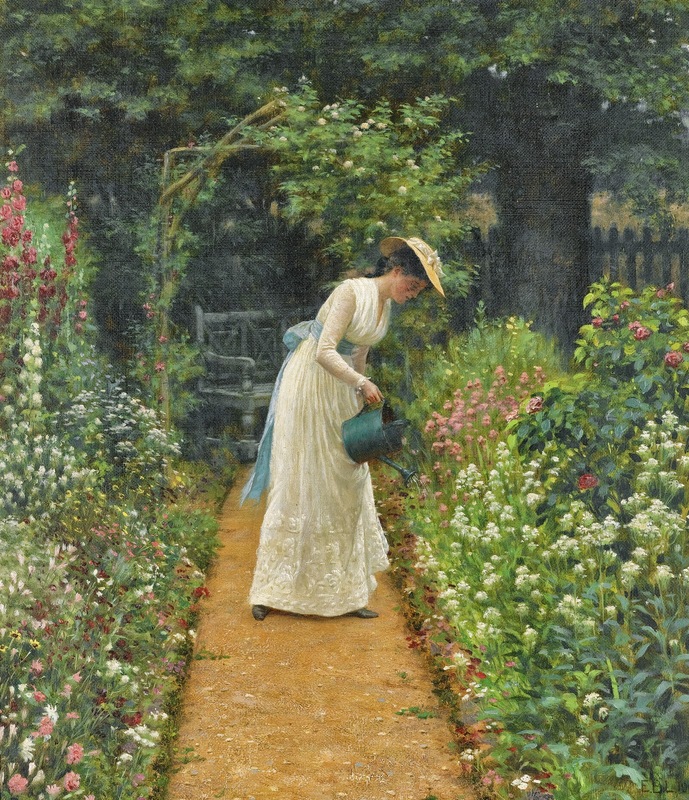 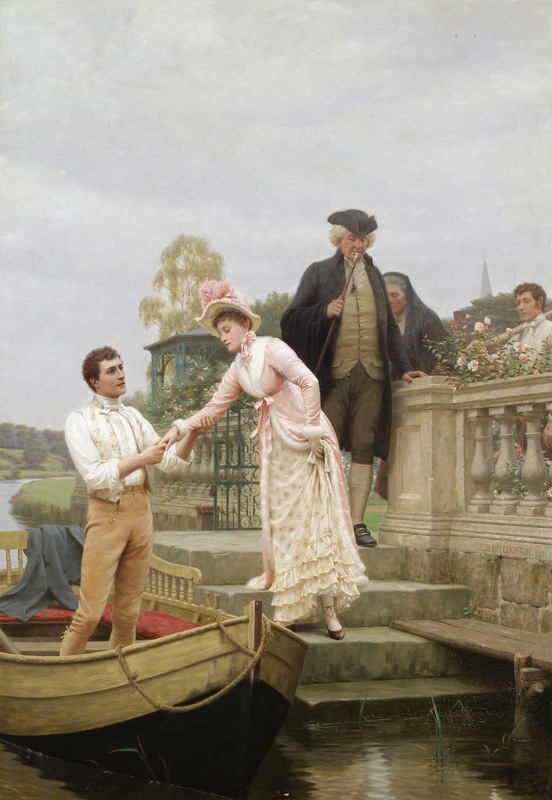 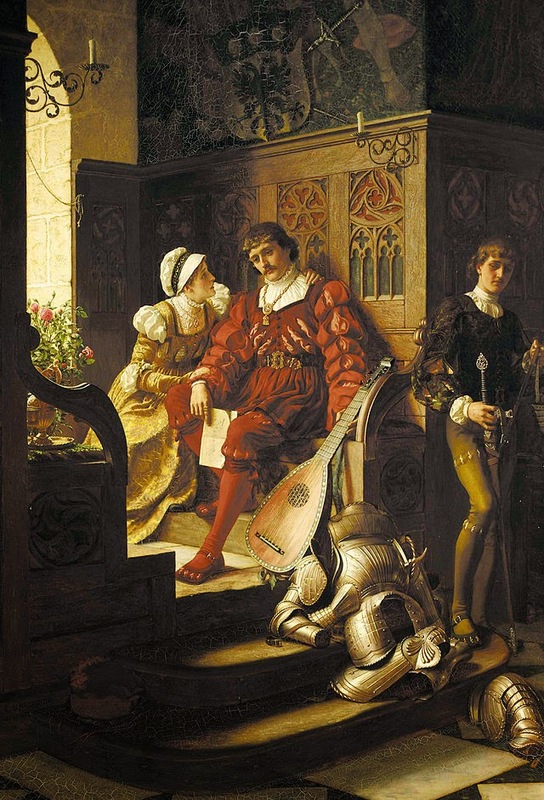 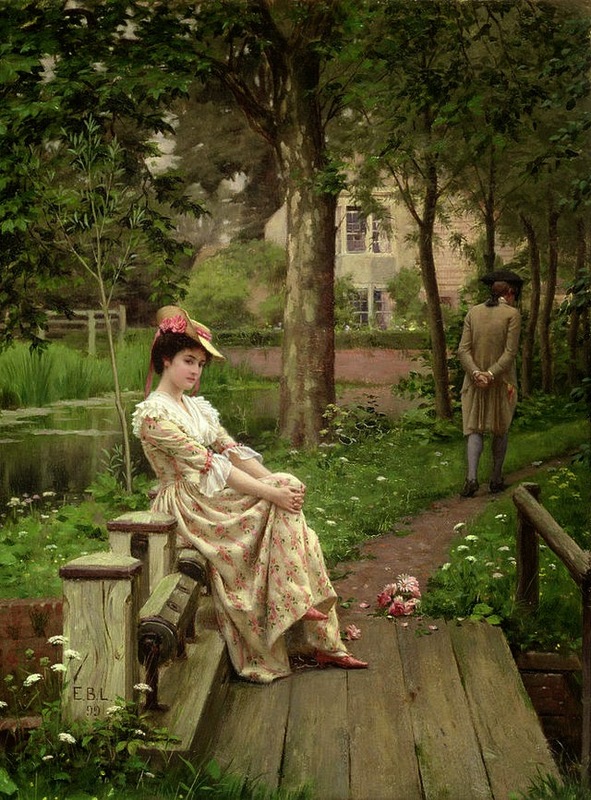 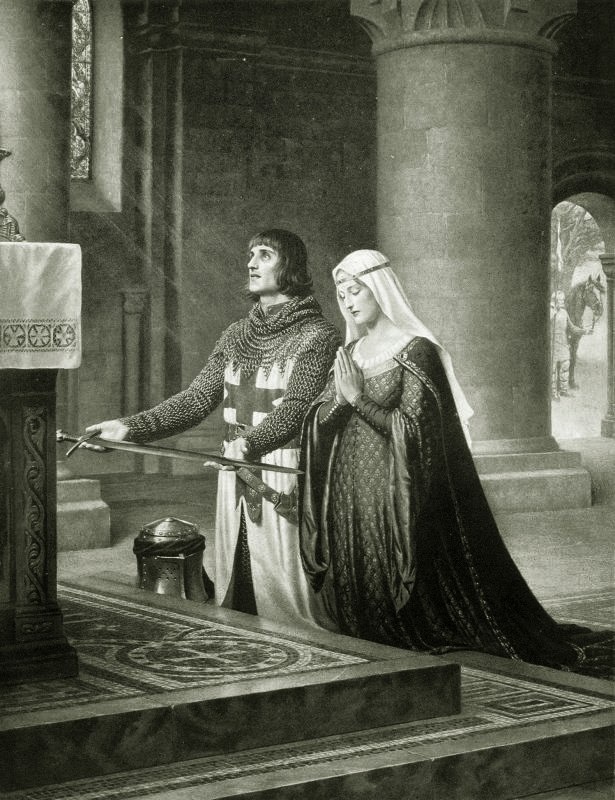 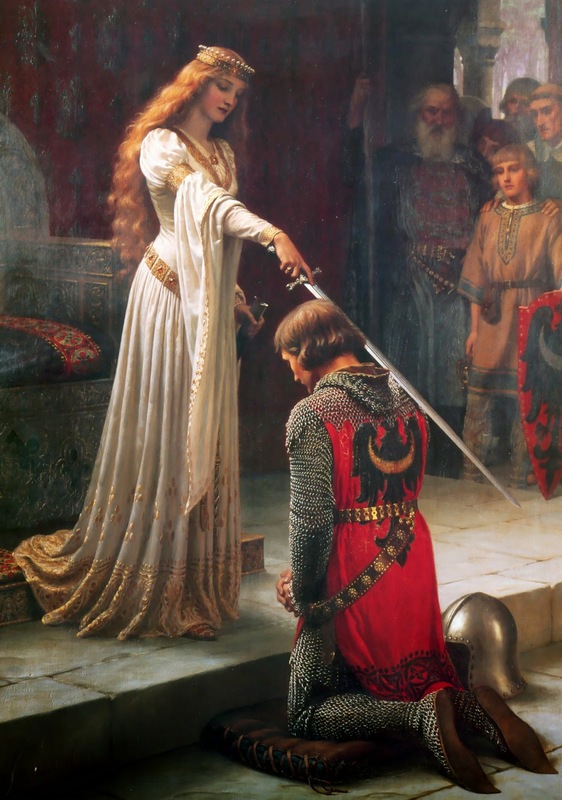 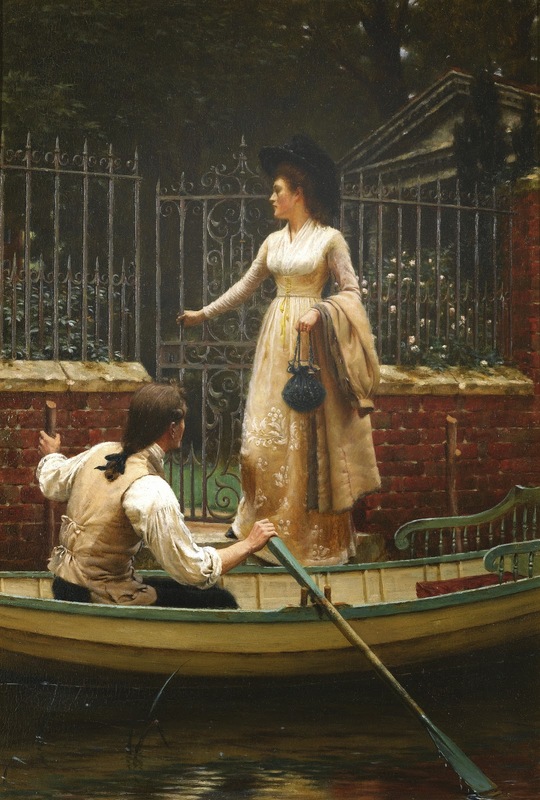 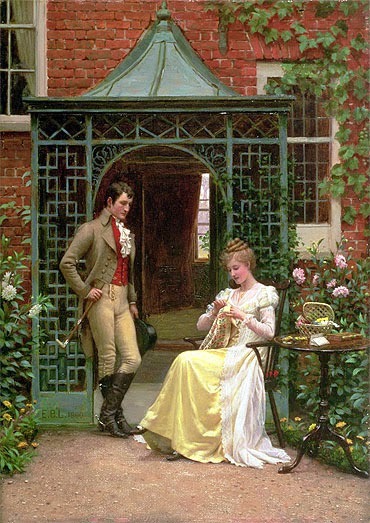 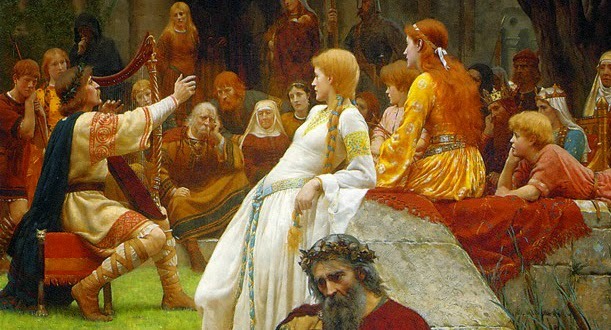 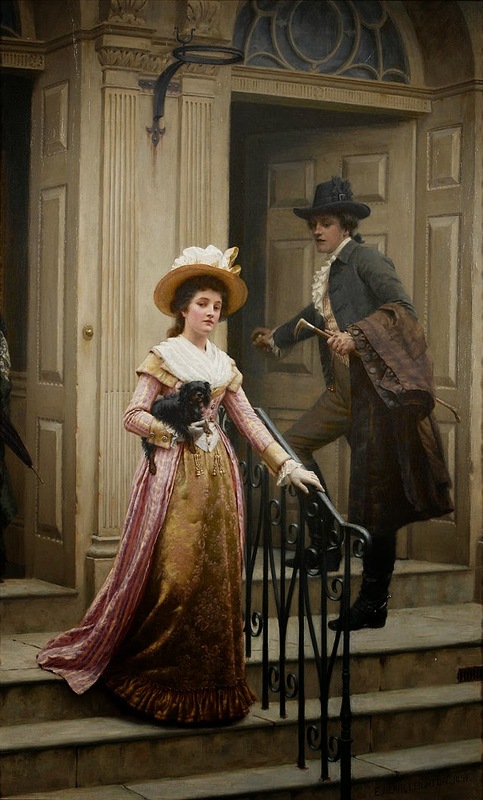 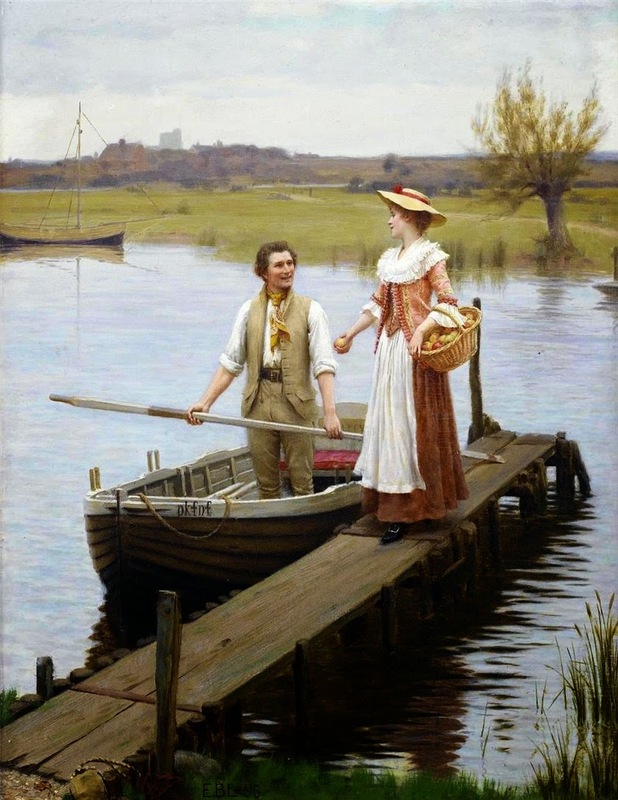 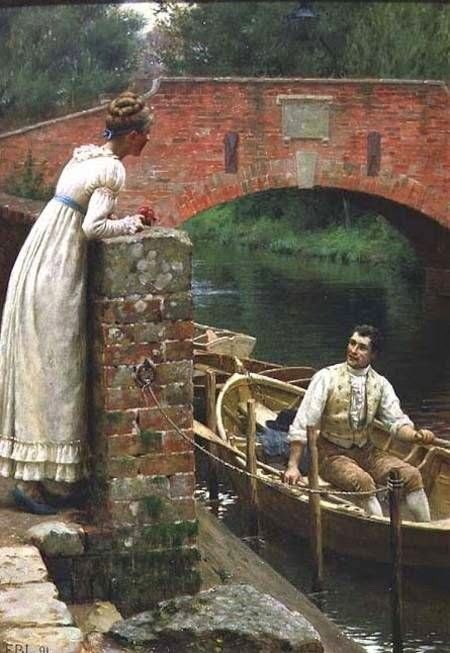 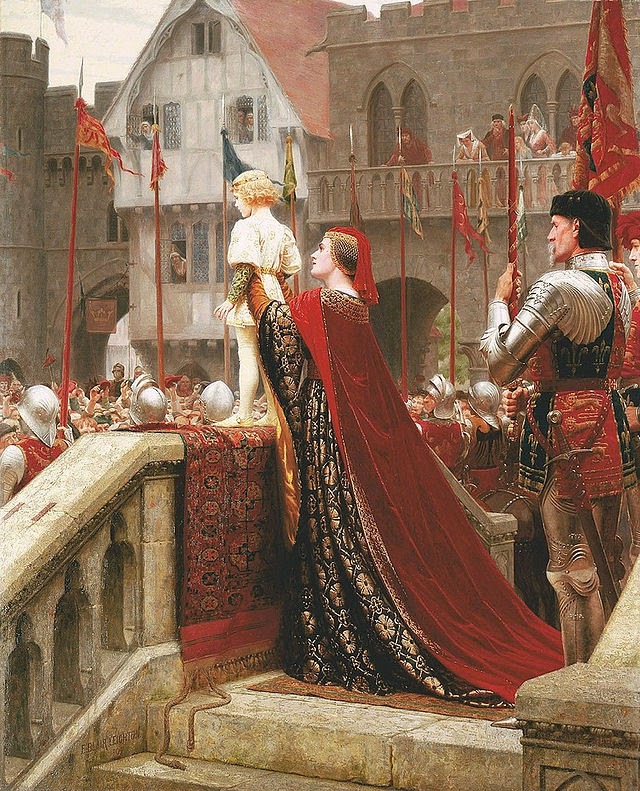 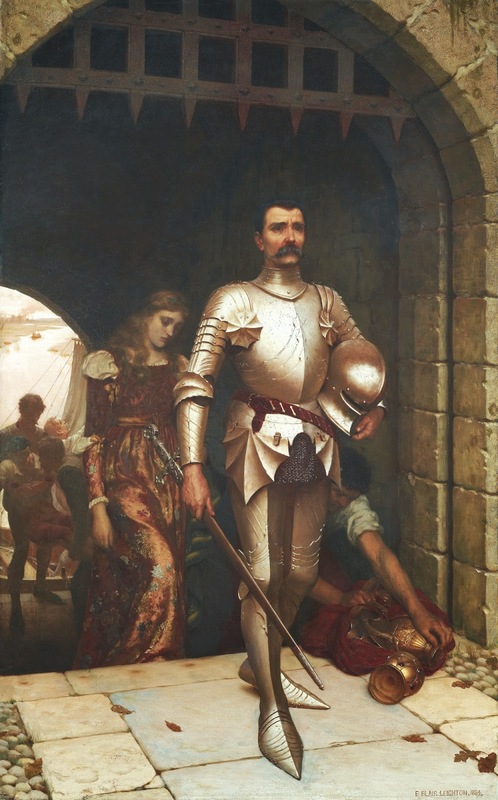 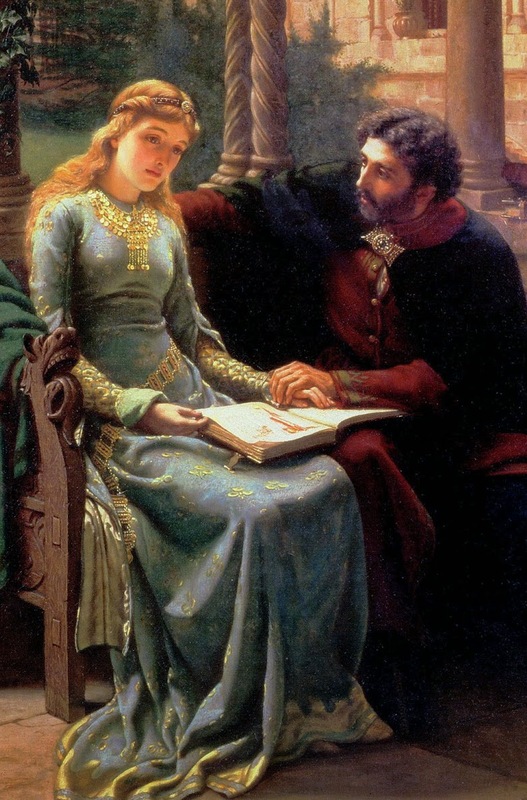 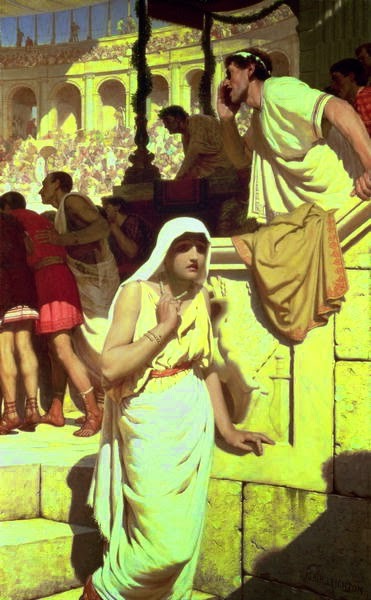 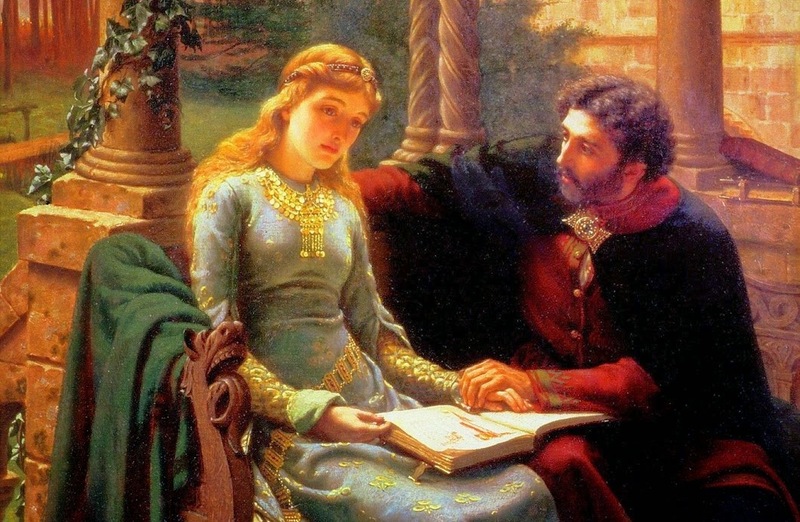 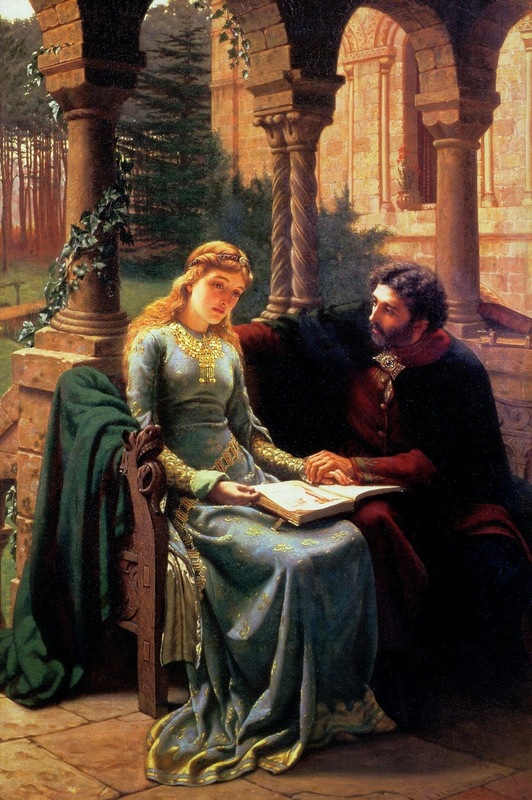 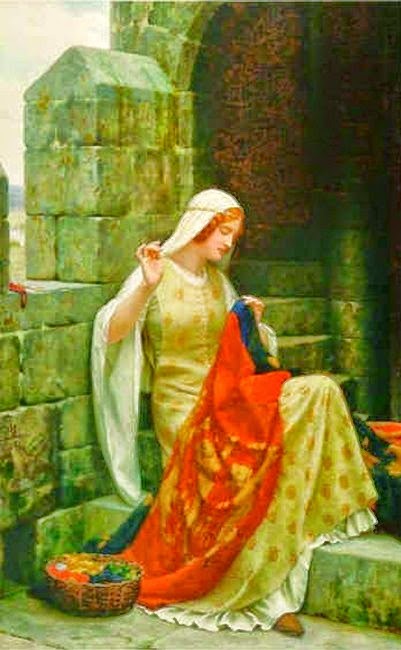 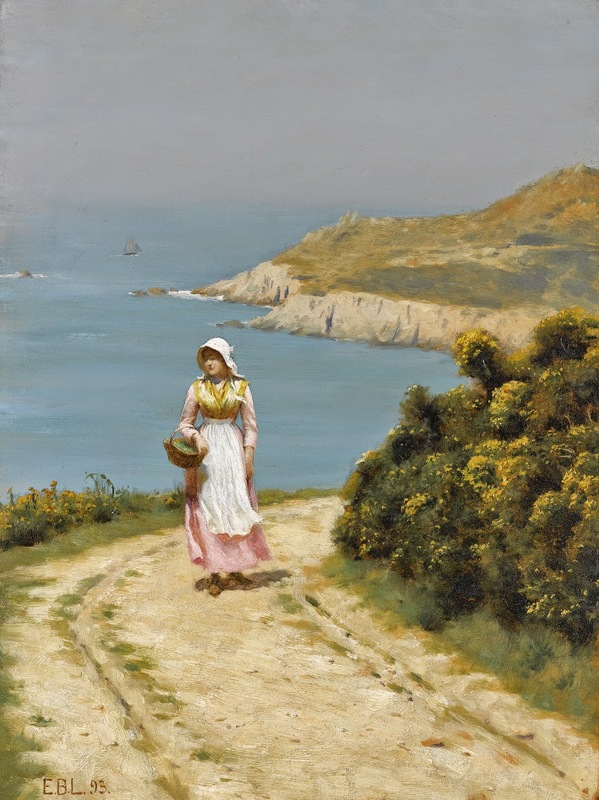 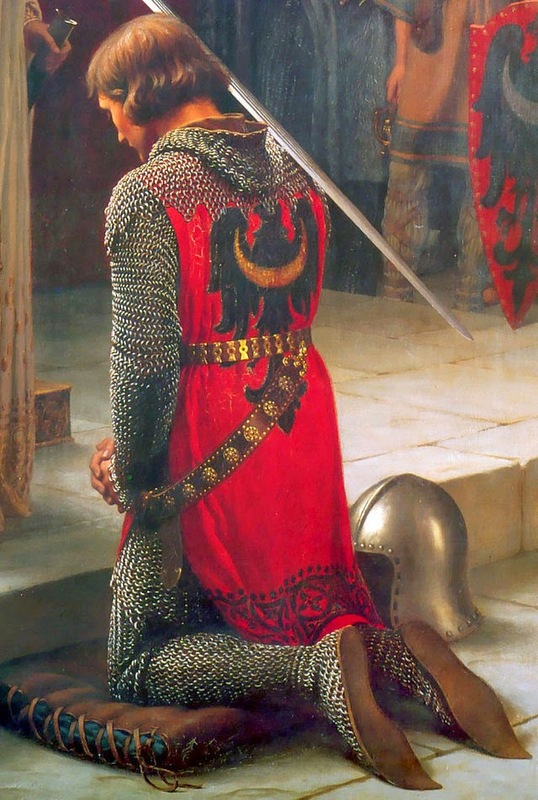 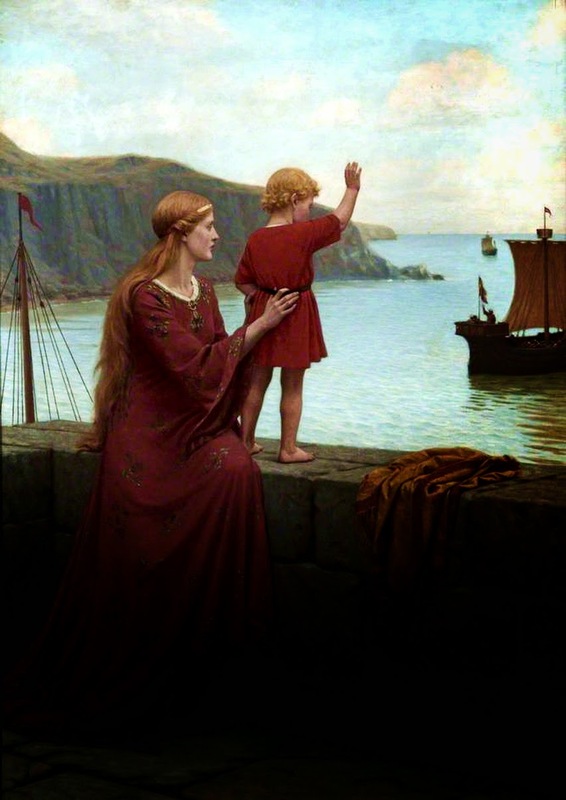 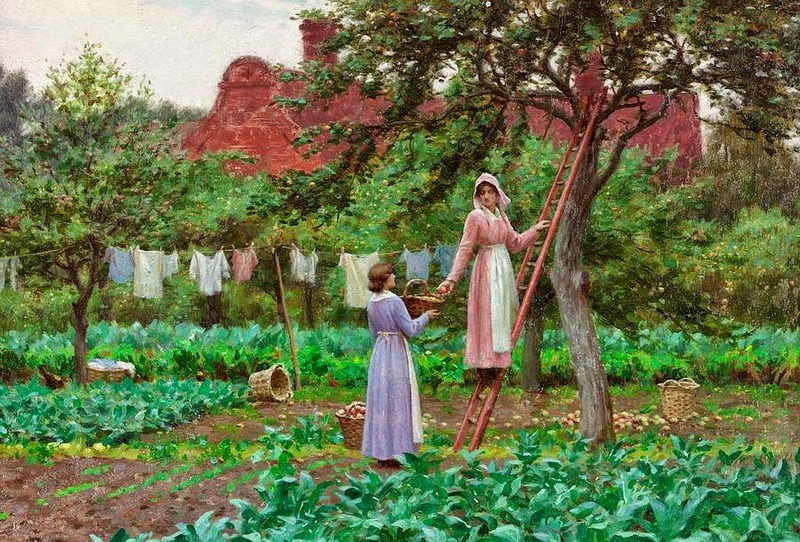 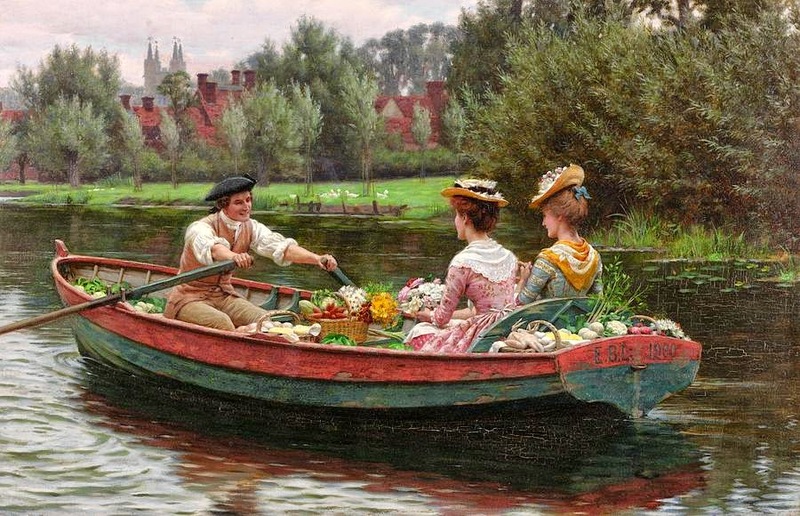 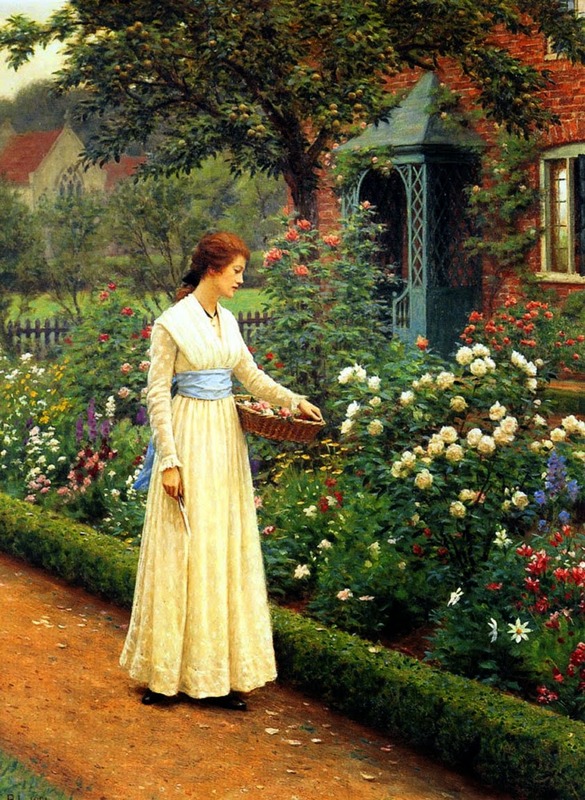 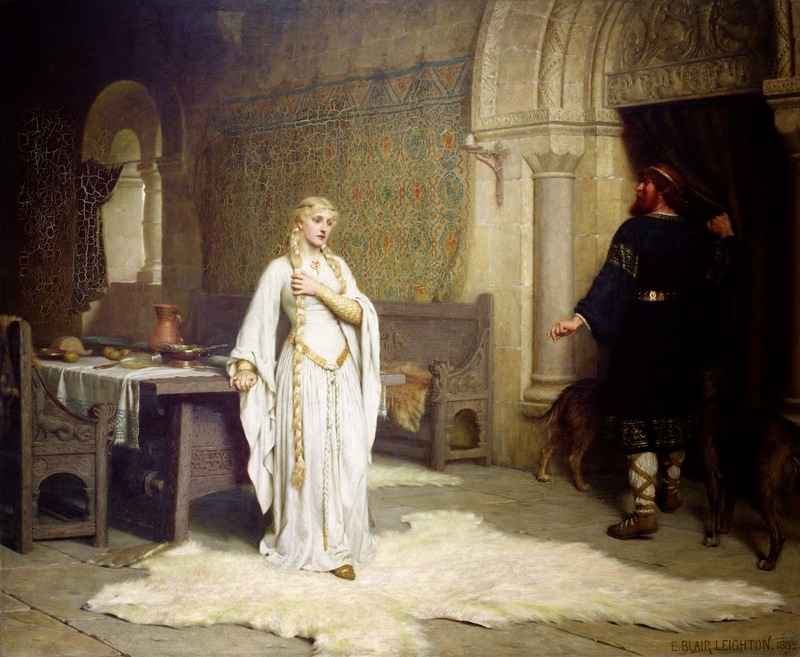 Although his name is not commonly known, Edmund Blair Leighton's most famous works are among the most widely recognized paintings of the period. 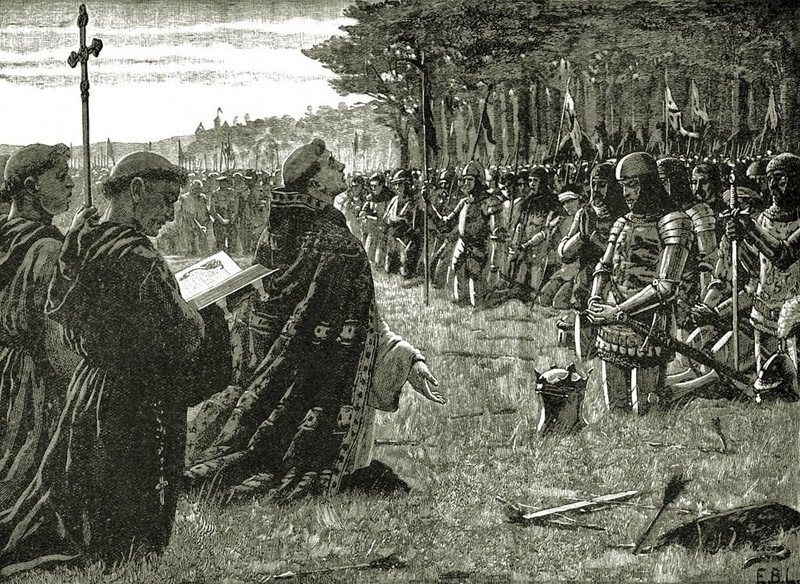 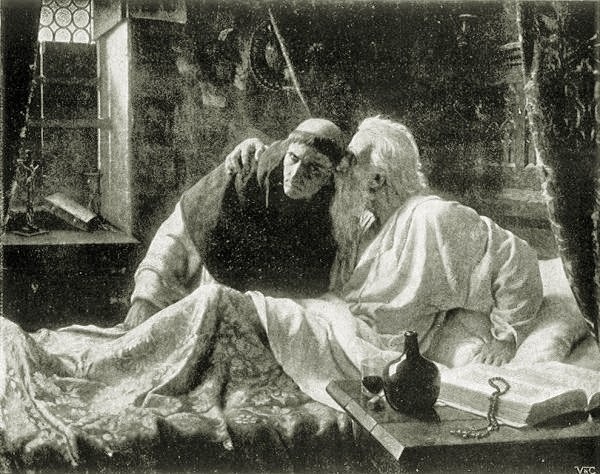 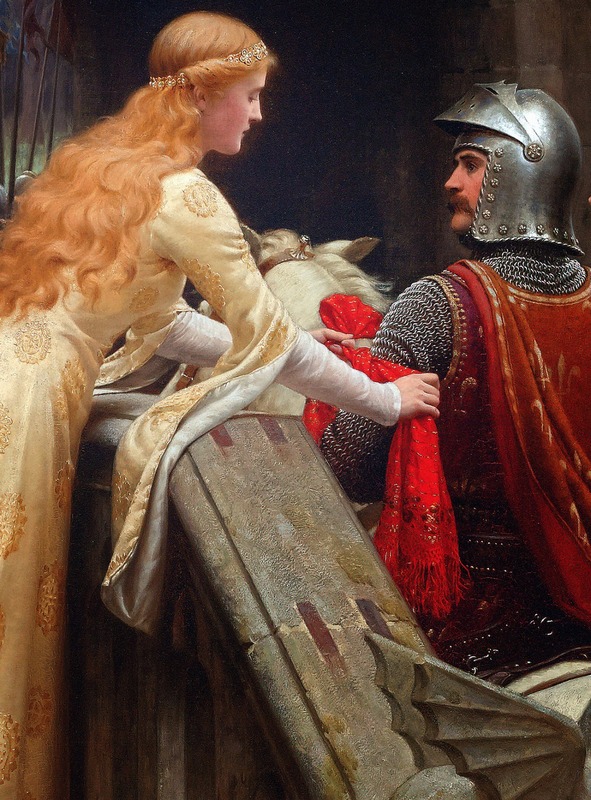 His works of Godspeed (1900) and the Accolade (1901), can be seen in almost every poster shop around the world and are used as the epitome of medieval iconography. 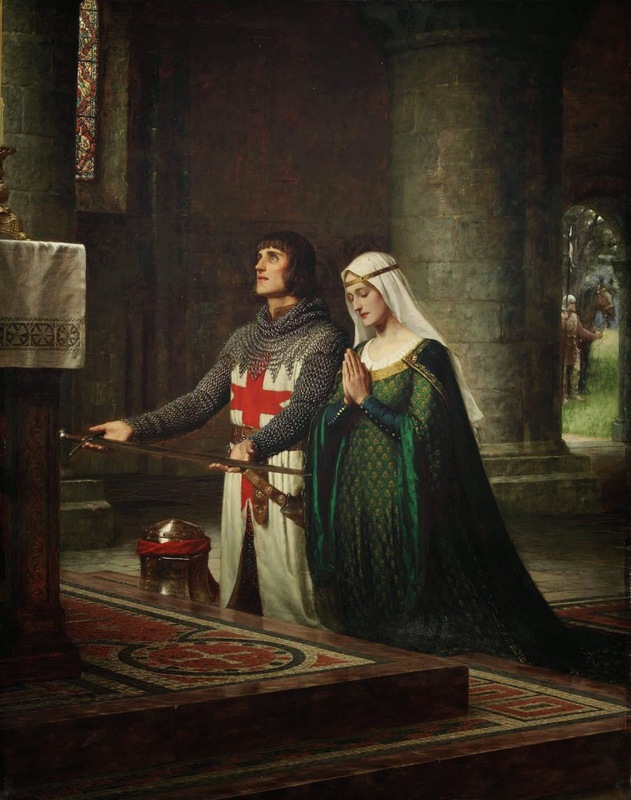 If one looks at the visual elements in Godspeed for example, it becomes evident that very few paintings encapsulate with such a strong a sense, the sensibilities of this genre. 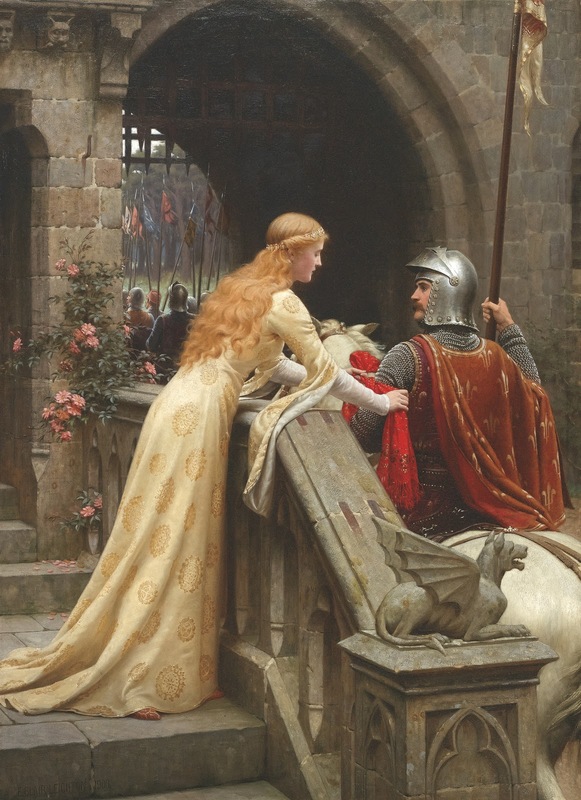 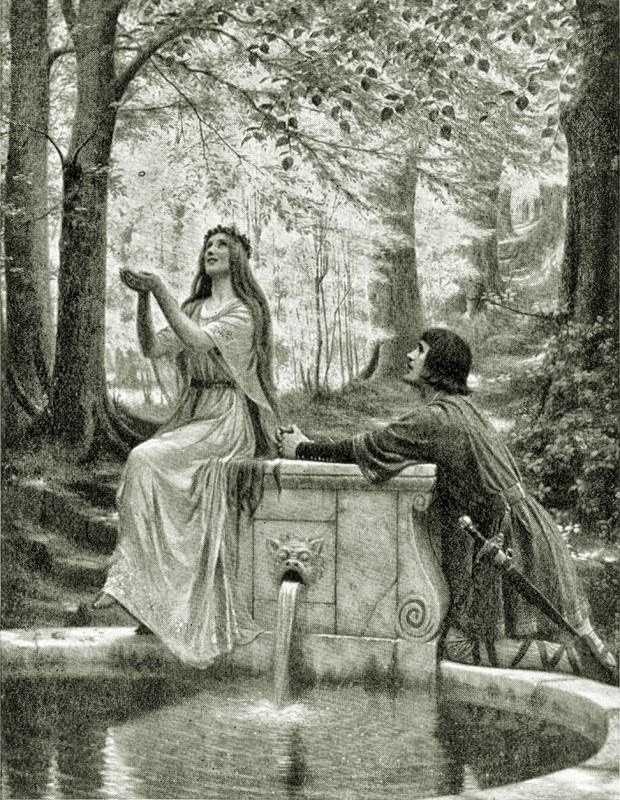 The beautiful maiden on the steps of a stone castle, the knight in shining armor, the white steed, and the sense of immediate peril which threatens the subjects contentment almost define our modern day conception of Medieval legend and romantic sentiment. 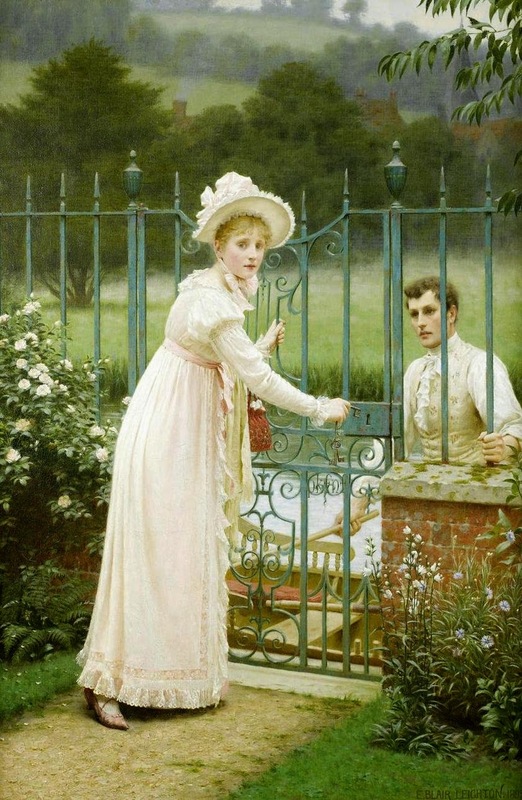 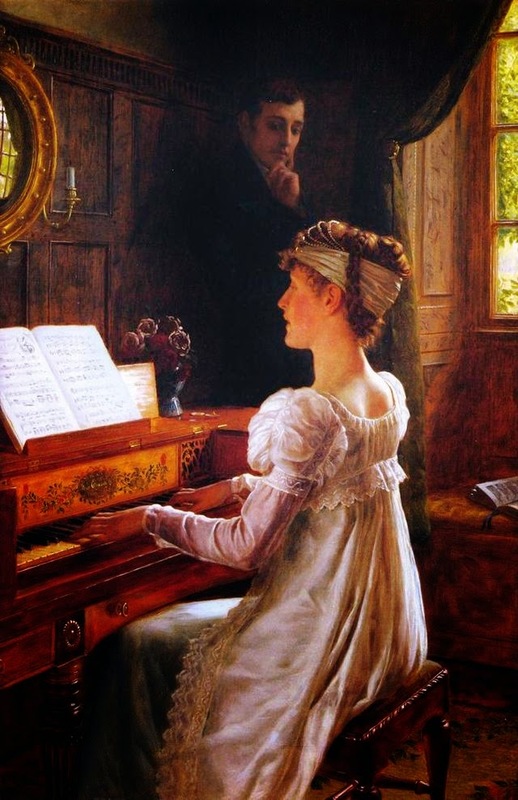 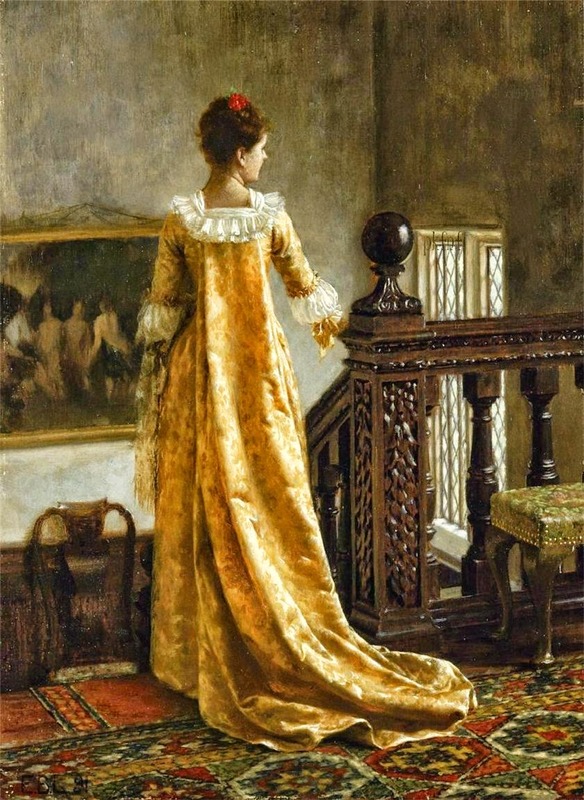 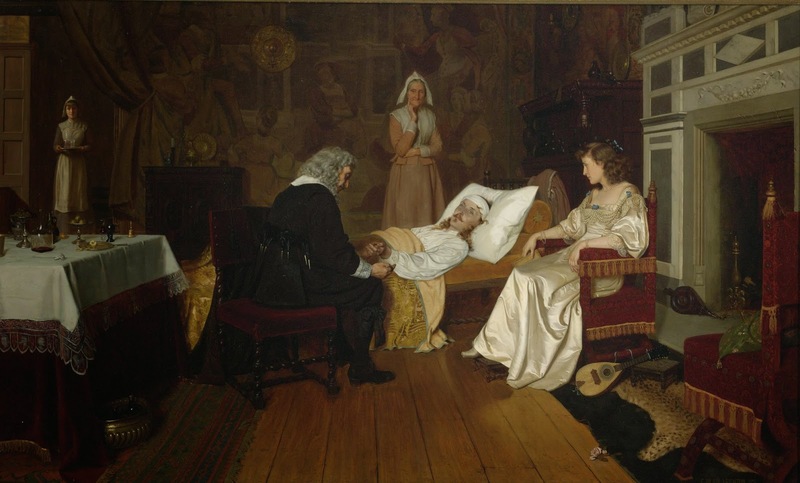 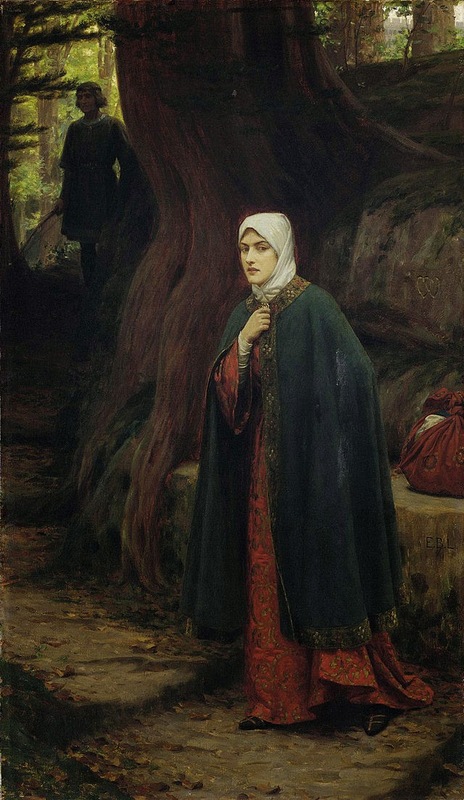 Edmund Blair Leighton, also known as Edward Blair Leighton, was born September 21st, 1852, not 1853 which has been repeatedly misprinted throughout his life and after. 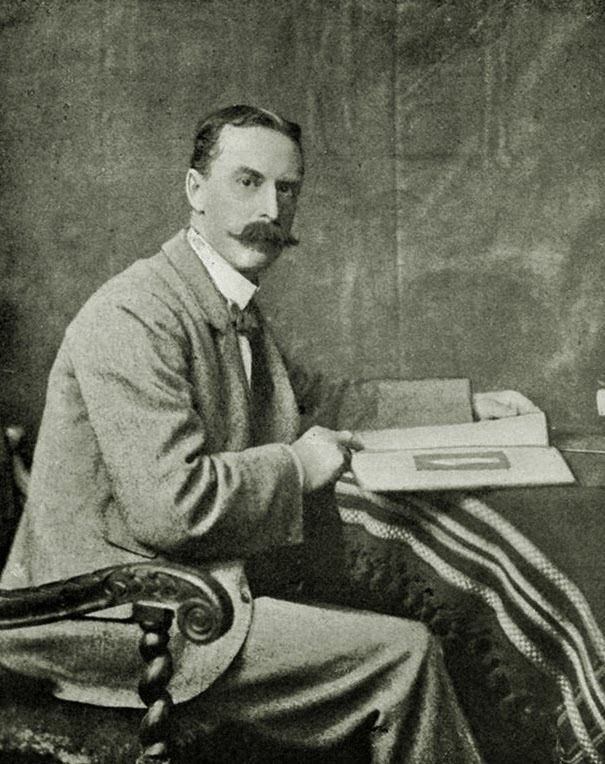 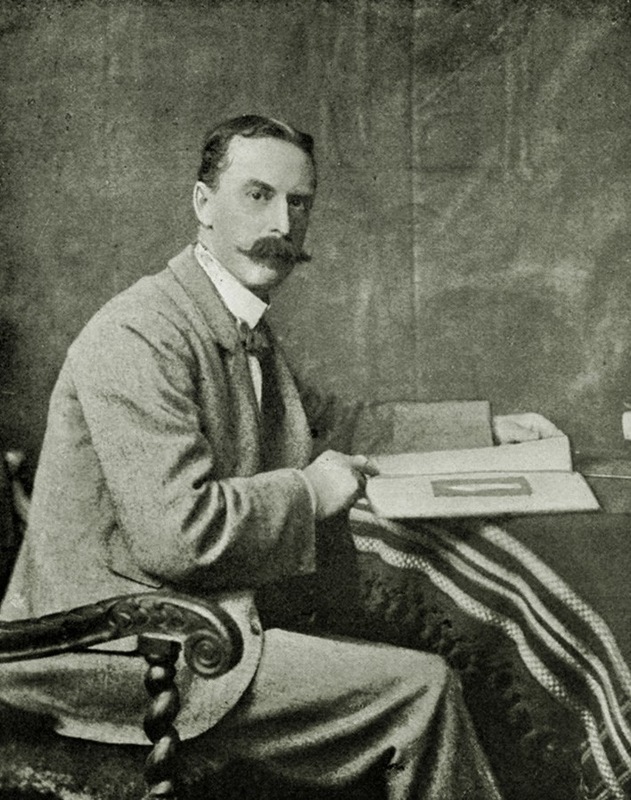 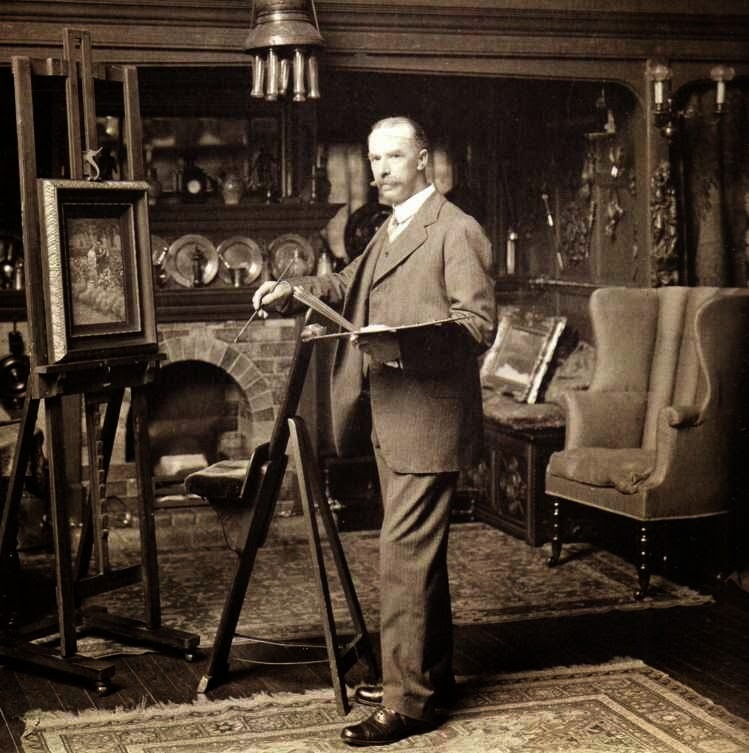 He was the son of a promising young artist, Charles Blair Leighton and the former Caroline Boosey, who came from a long line of music publishers. 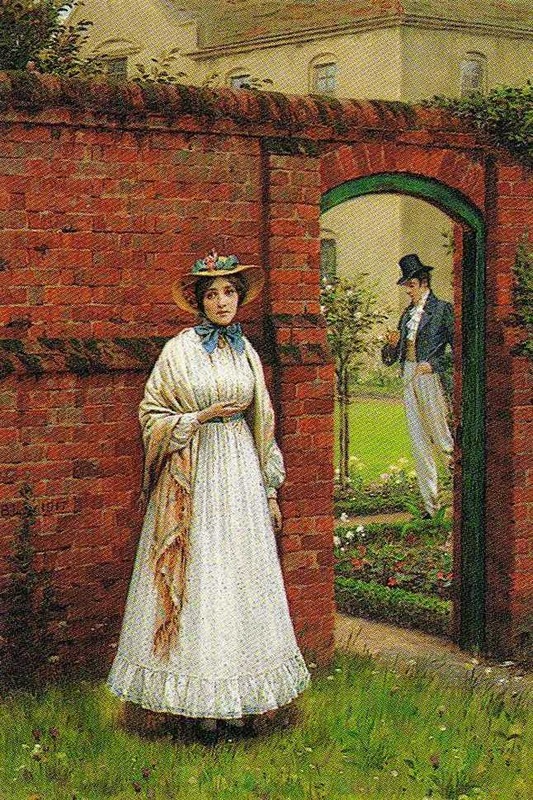 His father died in 1855 leaving little Edmund age three, his older sister Fanny age 5, and his little sister Nellie still in the womb. 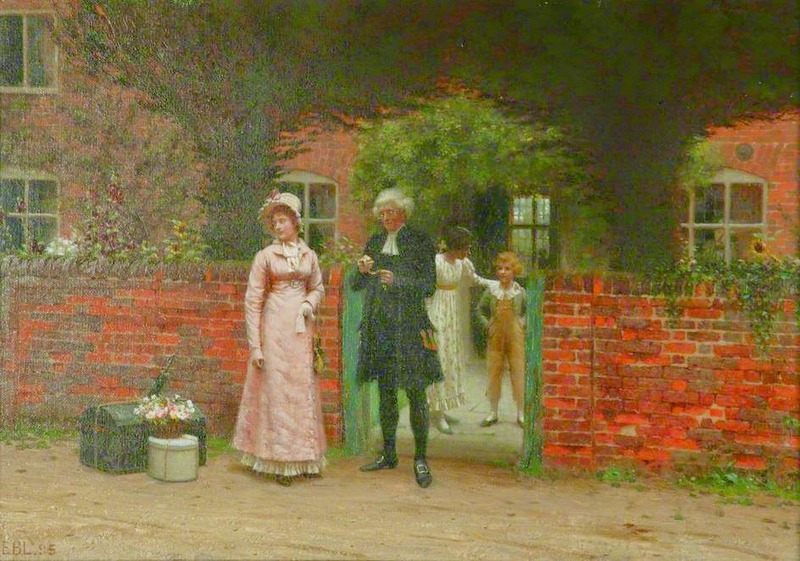 His mother moved to Bedford park and opened a school for girls, which was successful enough that she was able to support her family. 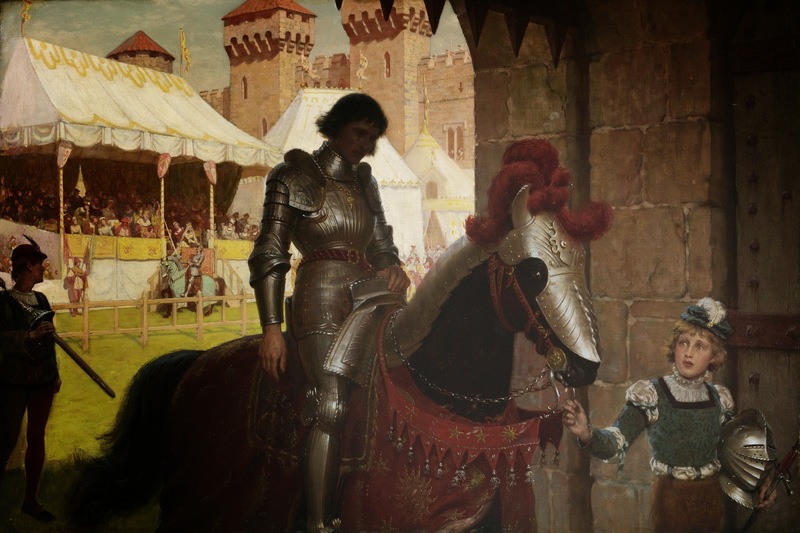 However, believing it was an unsuitable environment for a growing boy, Edmund was sent off to a boarding school in St. Johns Woods where he reported to be poorly fed and extremely unhappy. 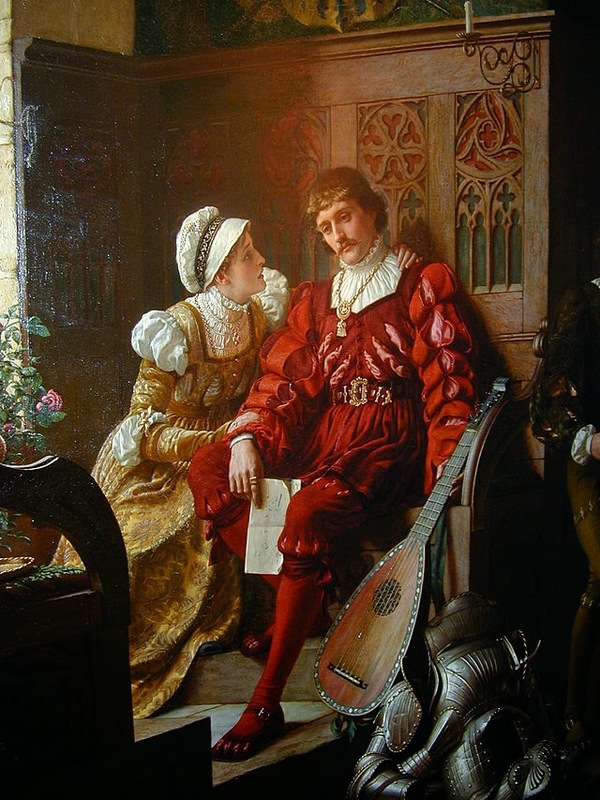 At age 12 he attended the career oriented University Collage School where he completed his studies at age 15. 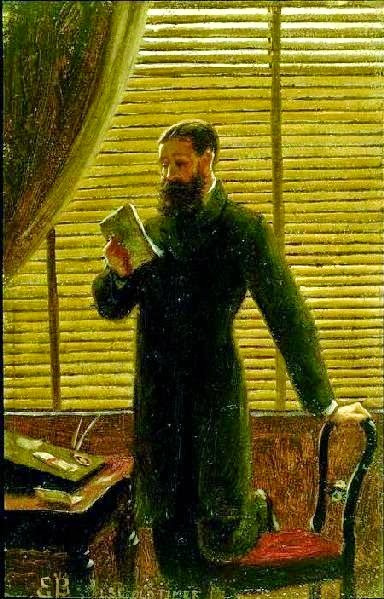 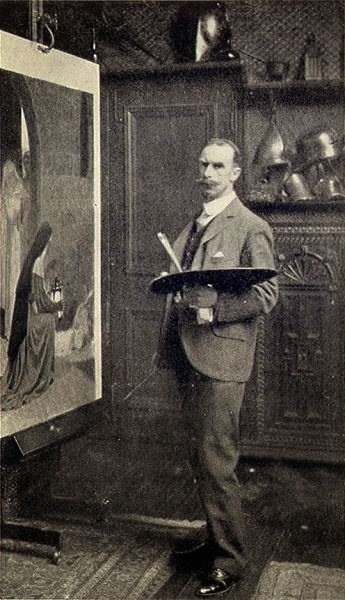 Although EBL enjoyed drawing from a young age, he was not able to pursue it as a career right away. 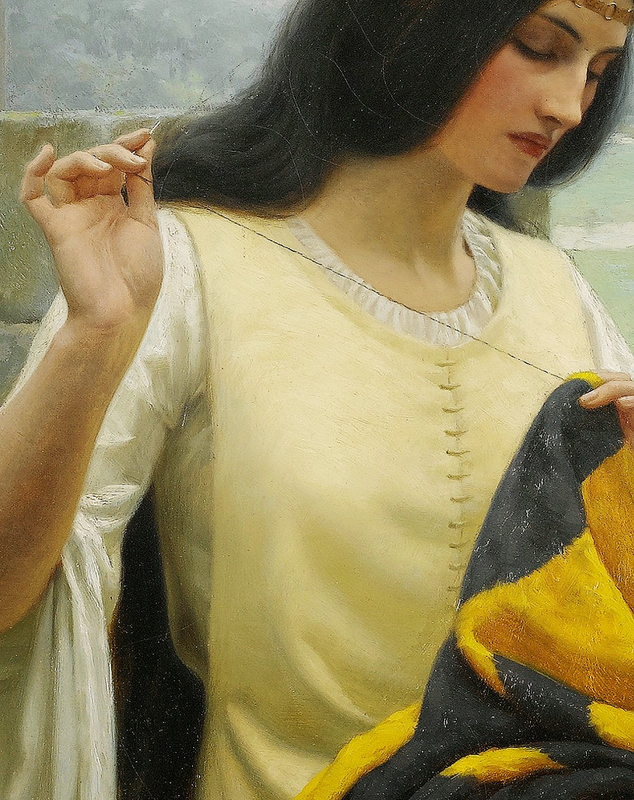 Being an artist only pays well if one becomes well known for it and in life there are no guarantees. 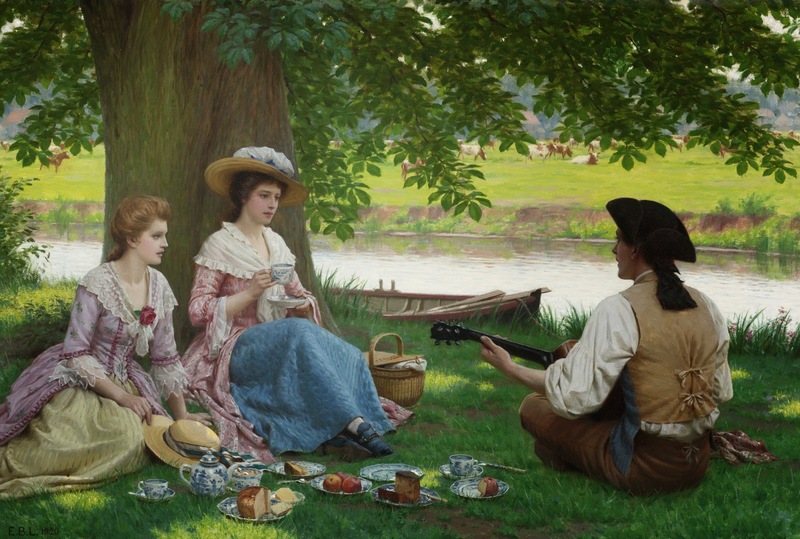 After some time working in the Tea Business he was however able to save enough money to pursue his artistic training. 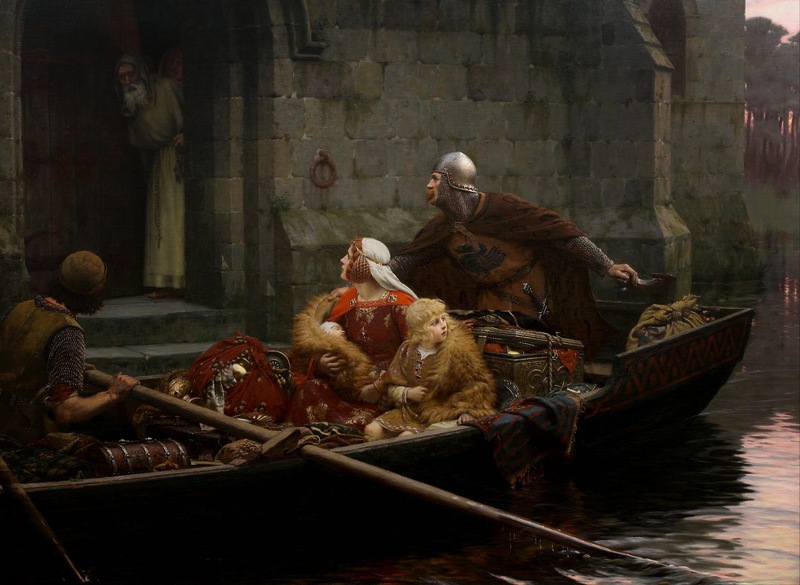 He started taking night classes at the South Kensington School of Art, and later, had some instruction at the Heatherley's School of Art before gaining entry to the five year program at the Royal Academy of Art School in 1874. 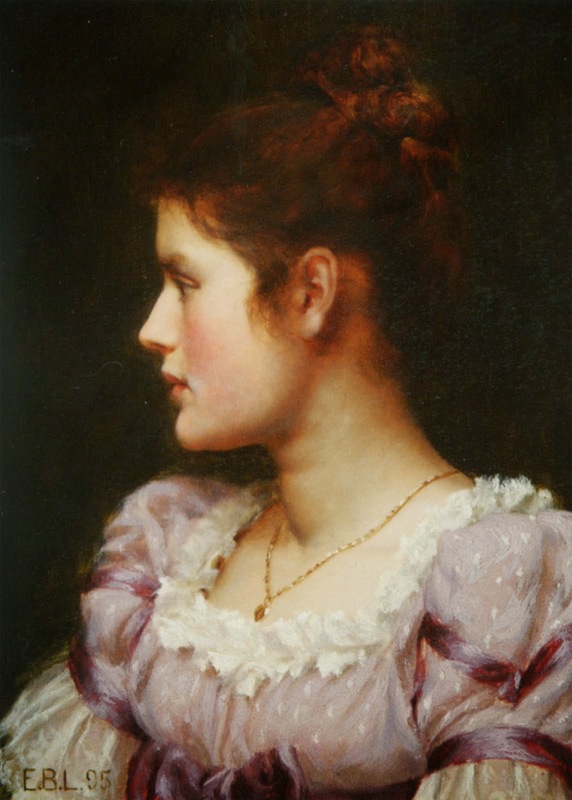 The RA was the premier art institute of the country and students were able to meet and study from the leading academicians of that time. 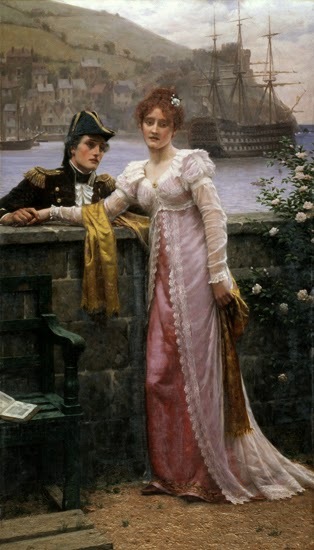 Blair Leighton exhibited regularly at the RA from 1878 -1920. 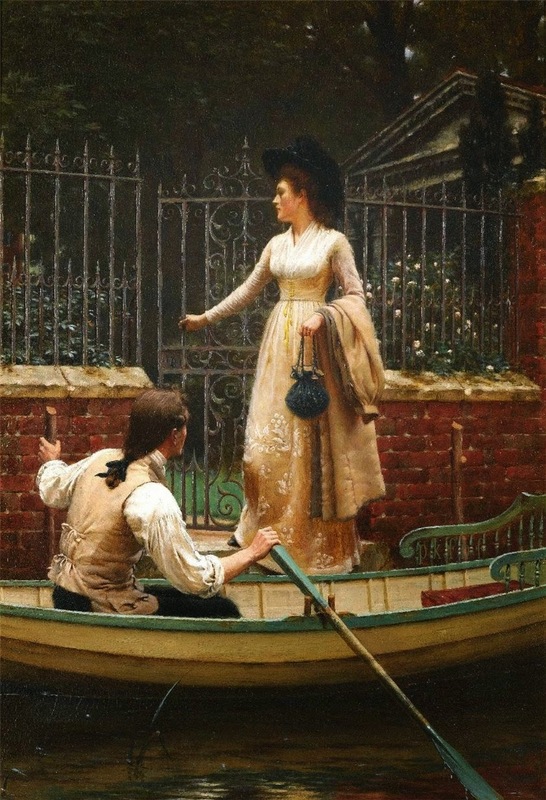 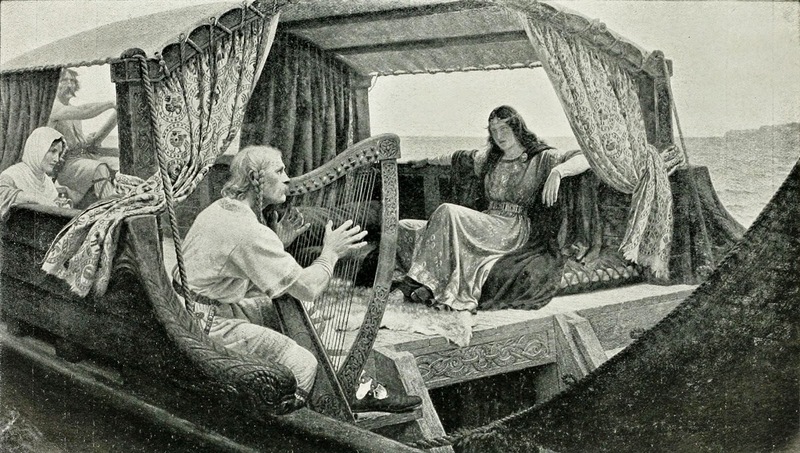 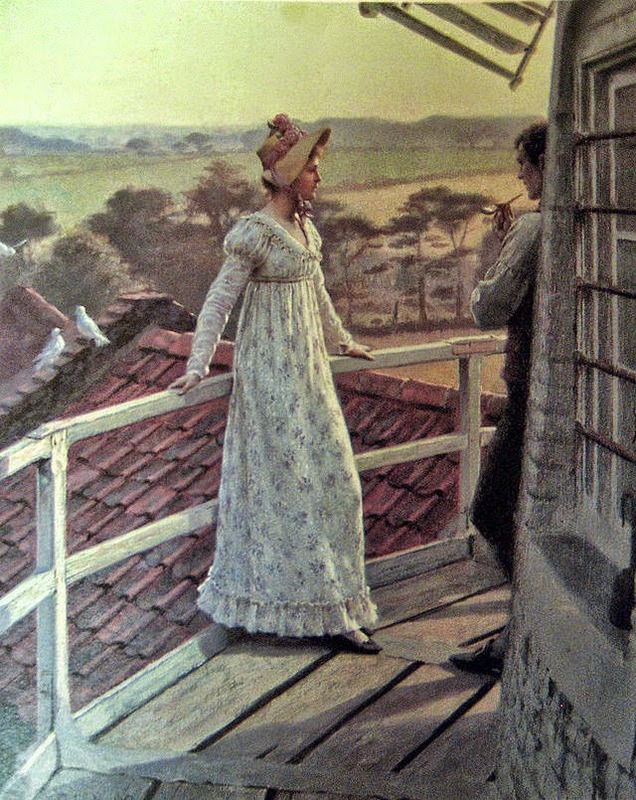 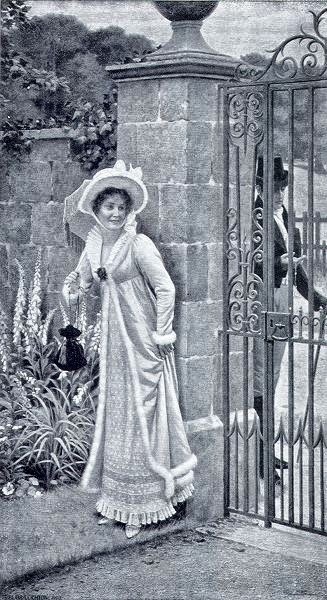 Early in his carrier to earn some extra money, Leighton made illustrations for the noted publisher Cassell and Co., as well as such magazines as Harper's Bazaar. 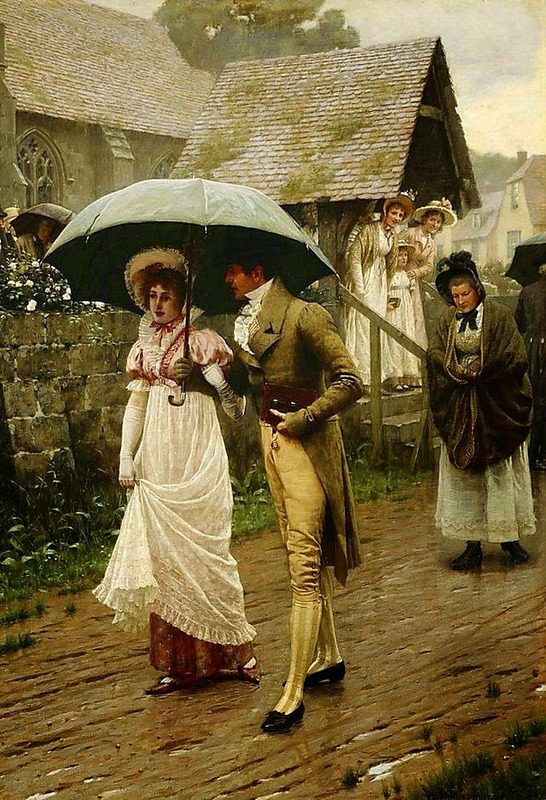 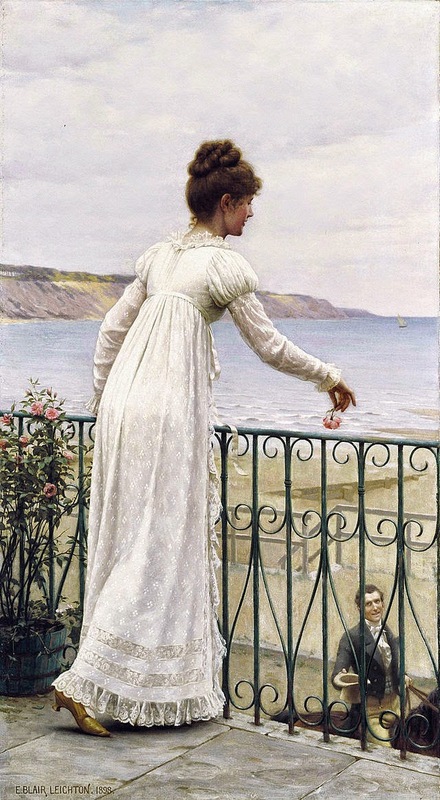 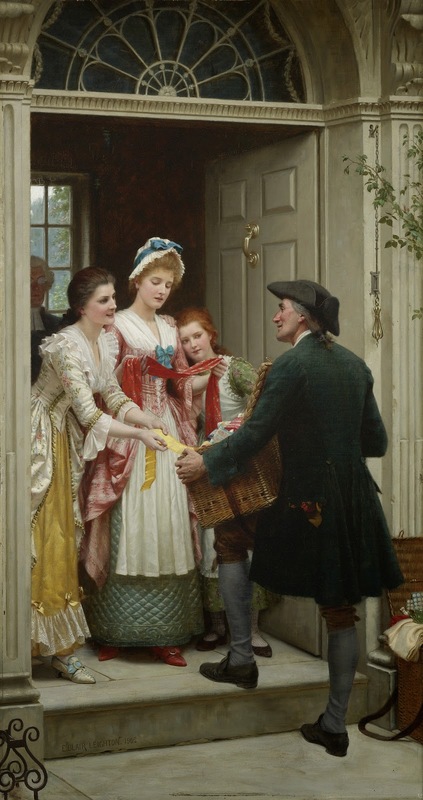 Edmund Blair Leighton (Londra, 21 settembre 1853 - Londra, 1º settembre 1922) è stato un pittore Britannico appartenente al movimento Pre-Raffaellita. 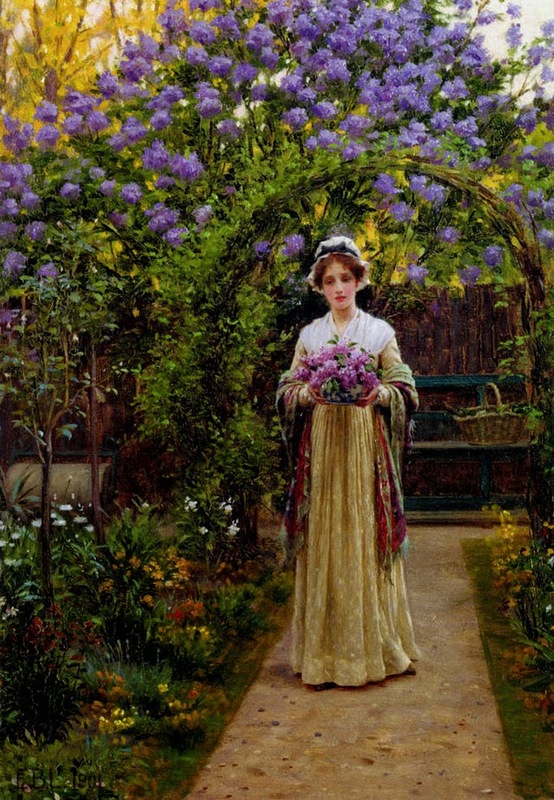 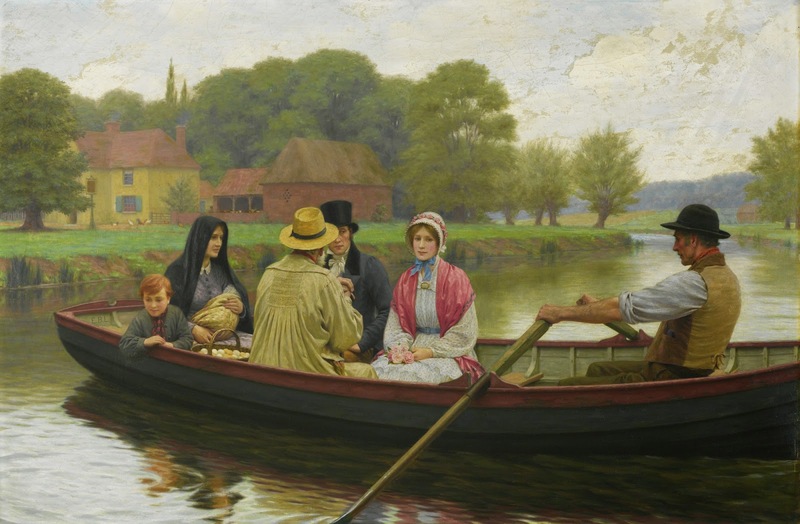 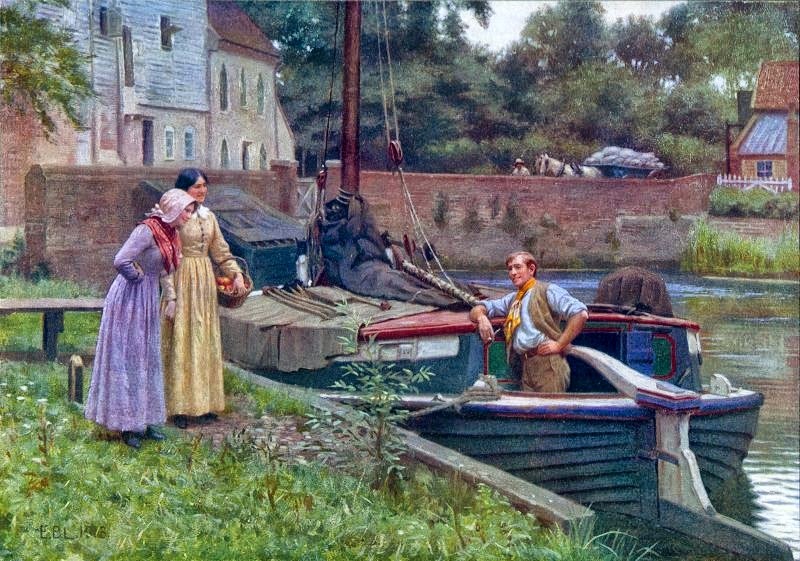 Leighton nacque a Londra il 21 settembre 1853. 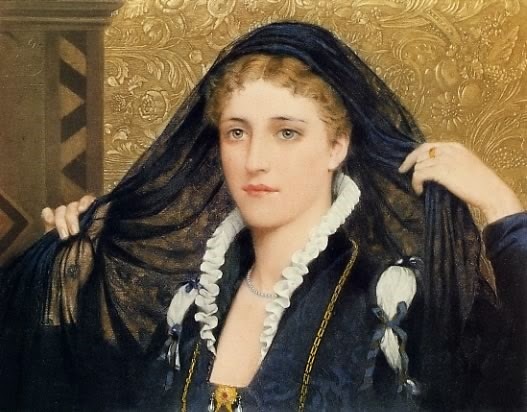 Era figlio dell'artista Charles Blair Leighton. 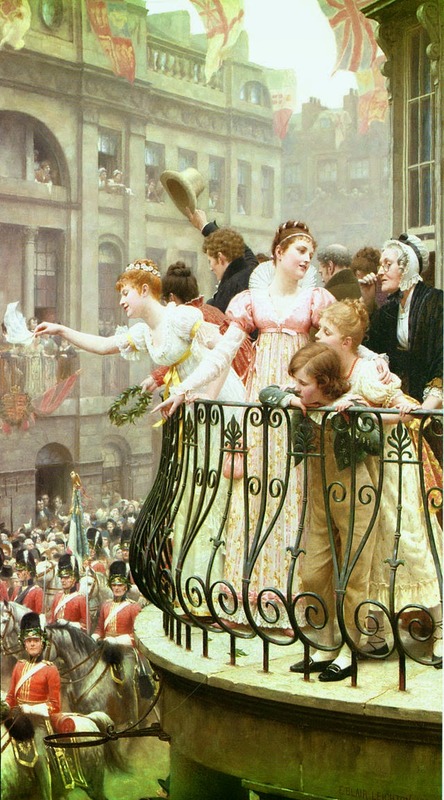 Frequentò l'University College School e successivamente la Royal Academy of Arts. 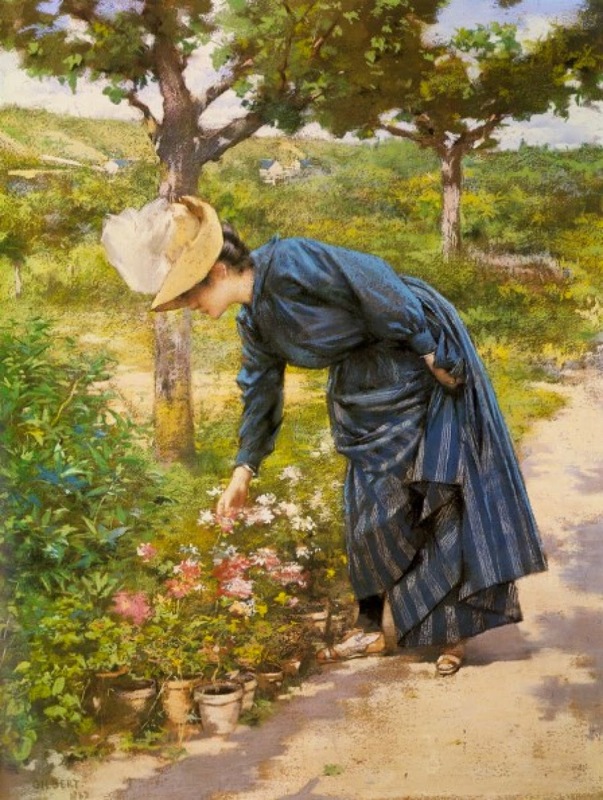 Nel 1885 si sposò con Katherine Nash dalla quale ebbe un figlio e una figlia. 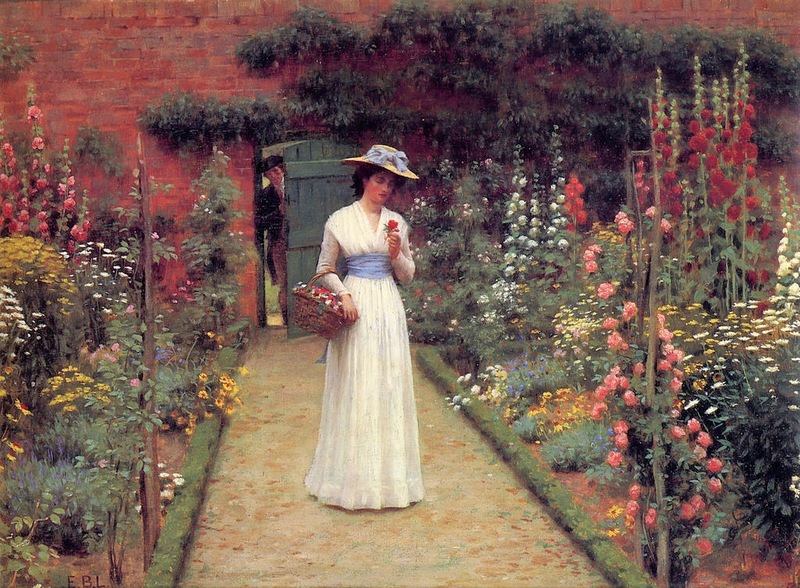 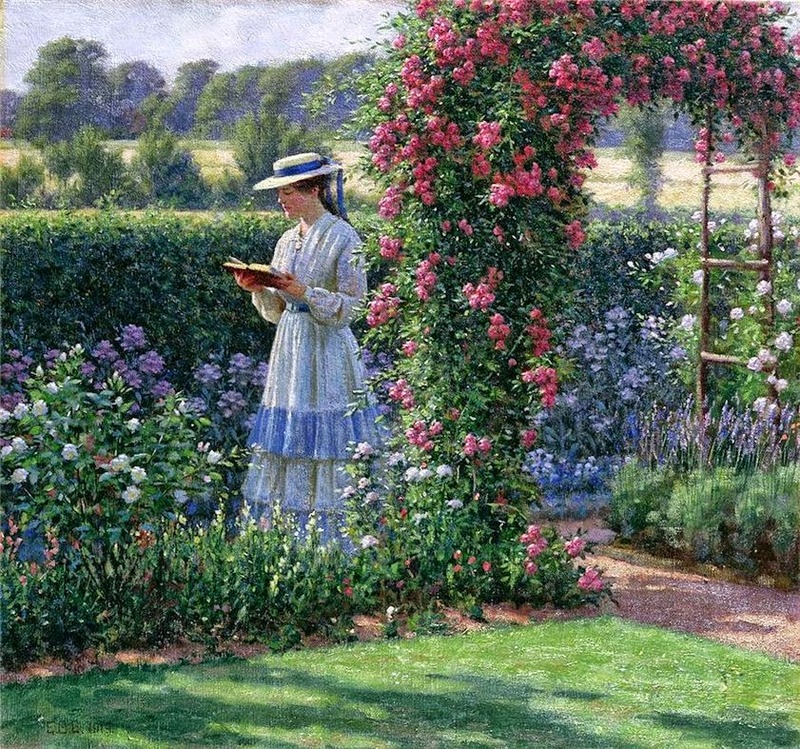 Dal 1878-1920 espose le sue opere alla Royal Academy con cadenza annuale. 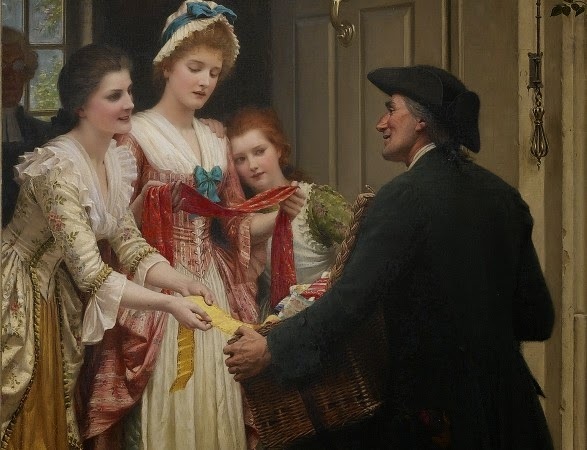 Leighton fu un artigiano molto meticoloso e creò dei dipinti decorativi molto rifiniti. 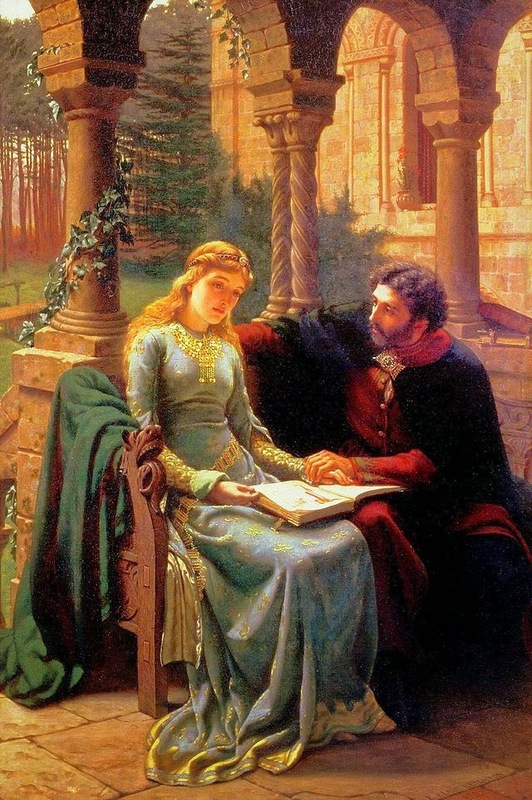 Pare che non abbia lasciato alcun diario, e sebbene abbia esposto per oltre quarant'anni alla Royal Academy non è mai stato un accademico o un associato. 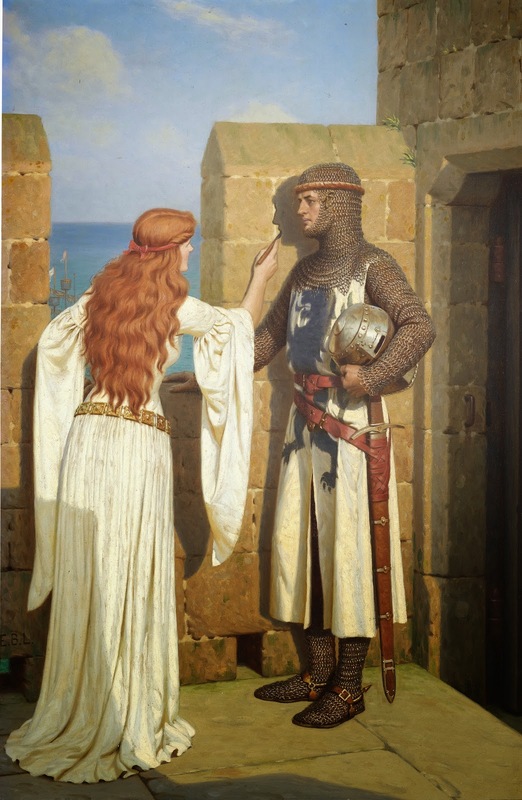 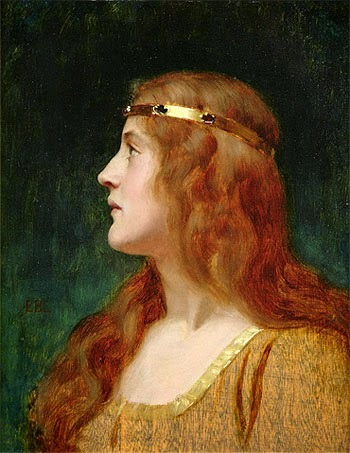 I soggetti preferiti da Leighton furono quelli di carattere storico, in particolar modo si dedicava alla pittura di scene medievali oppure della reggenza inglese. 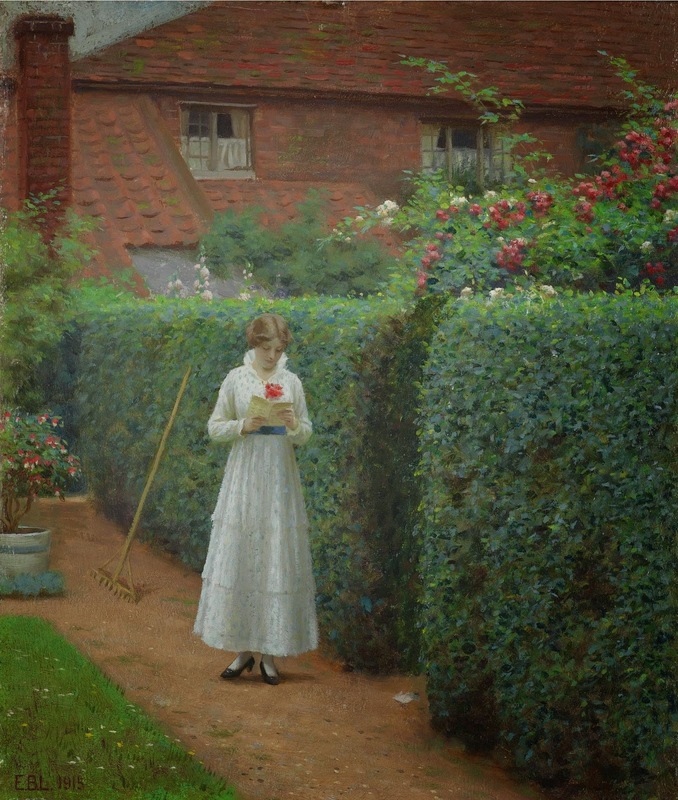 Le sue opere sono attualmente conservate principalmente alla Manchester Art Gallery, al Bristol City Museum and Art Gallery oppure fanno parte di collezioni private.